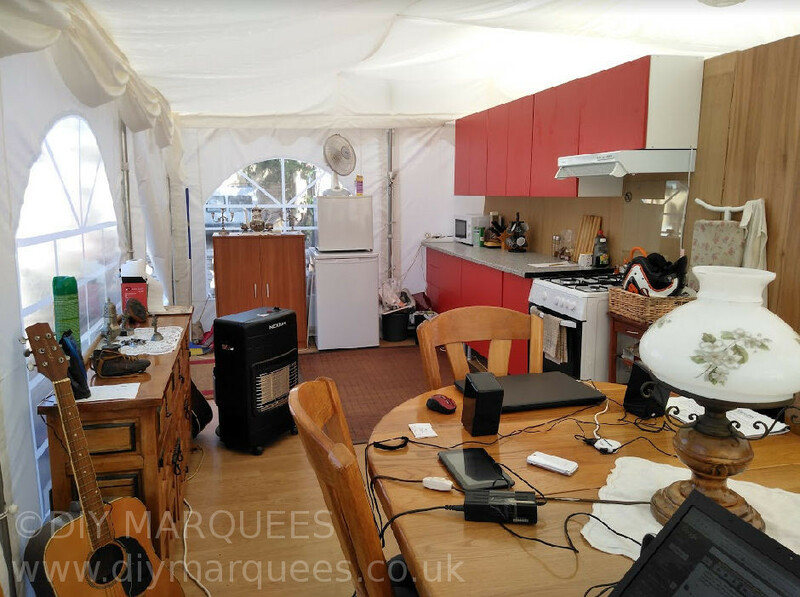 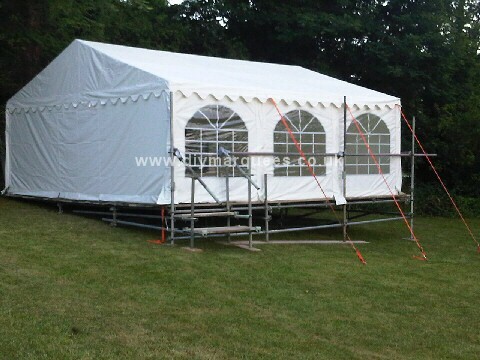 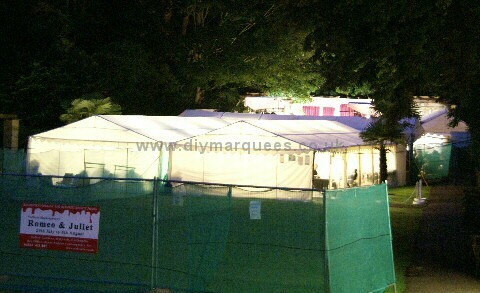 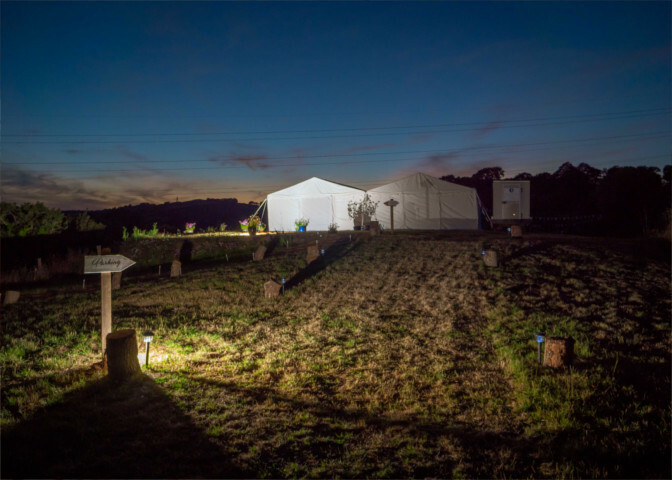 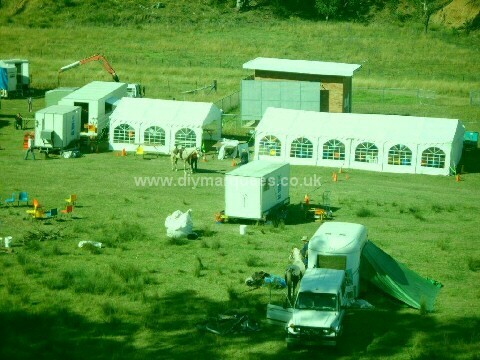 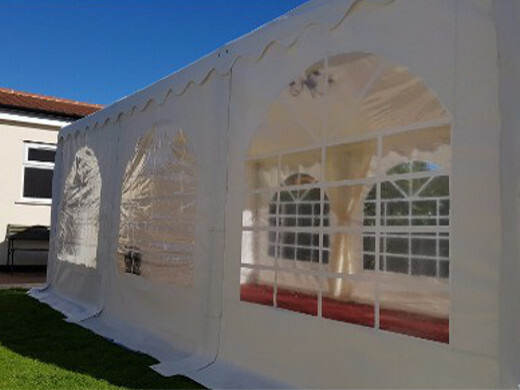 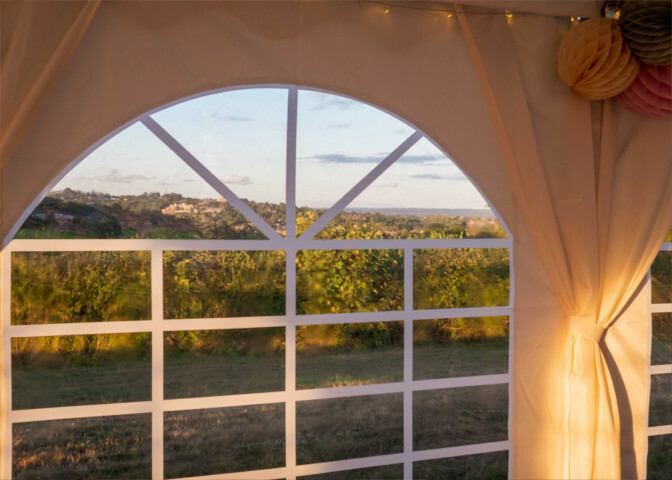 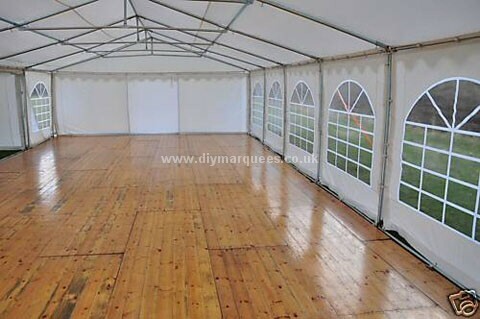 A 6m wide DIY Marquee being used as accommodation for Pastor Don Roy Hemingway in Spain. 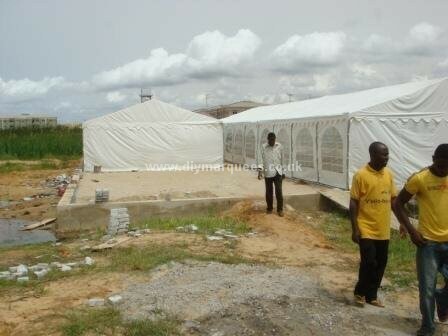 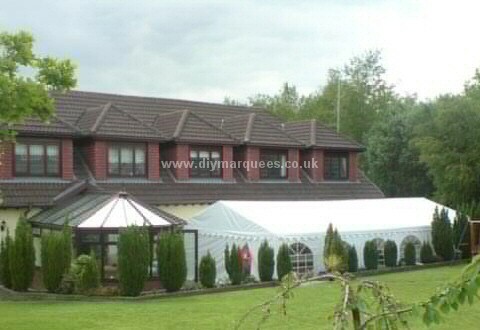 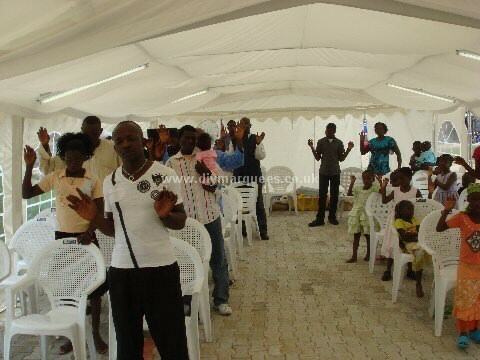 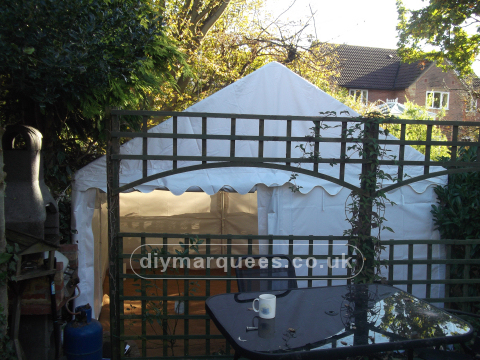 DIY Marquee being used as living accommodation for a Pastor. 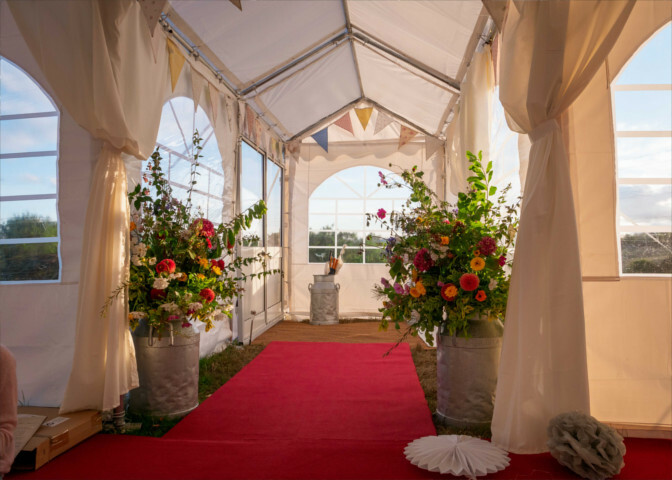 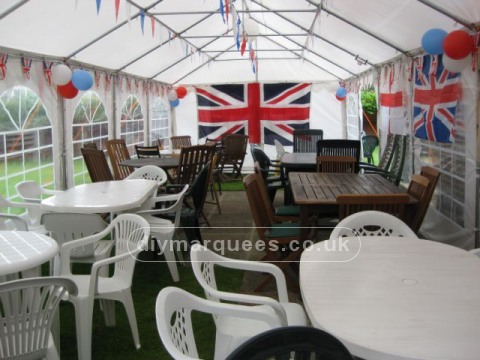 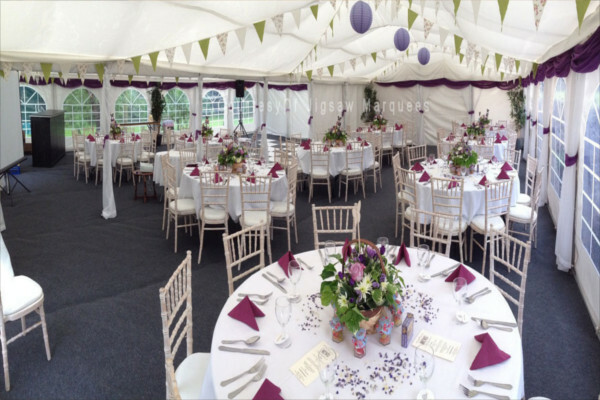 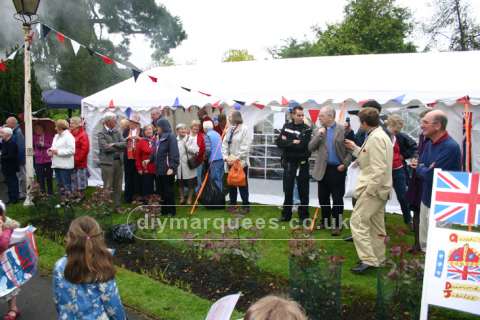 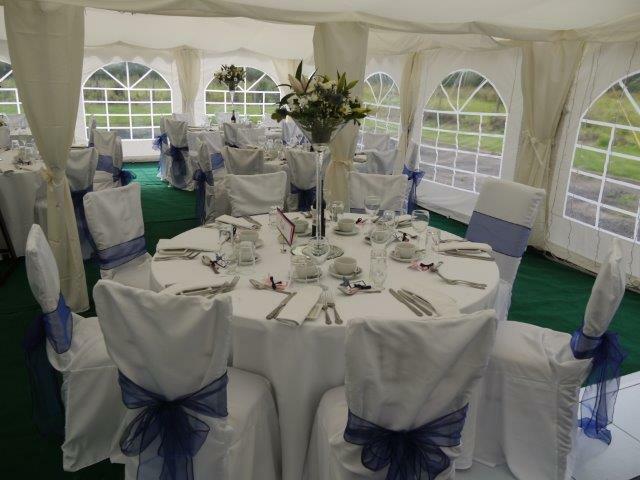 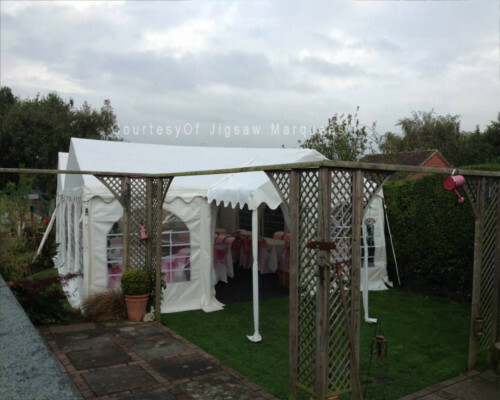 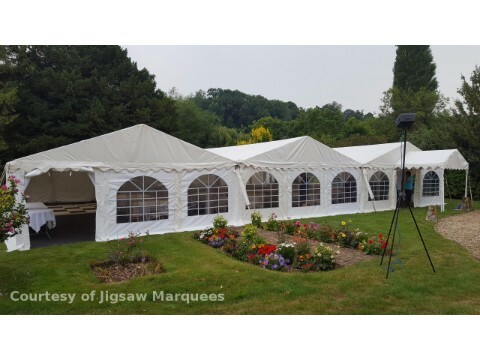 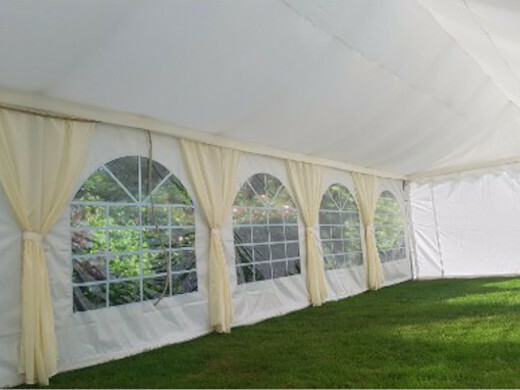 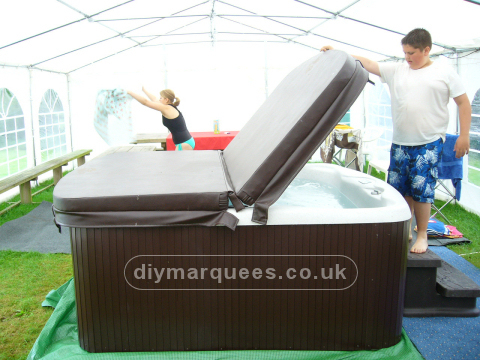 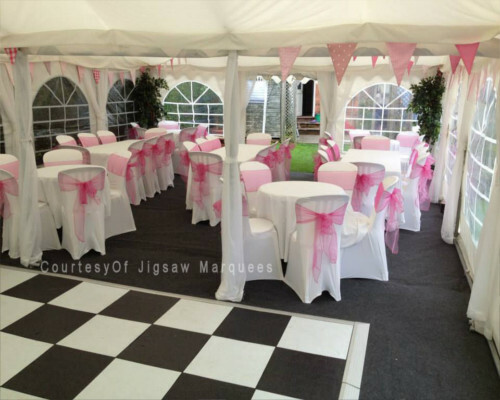 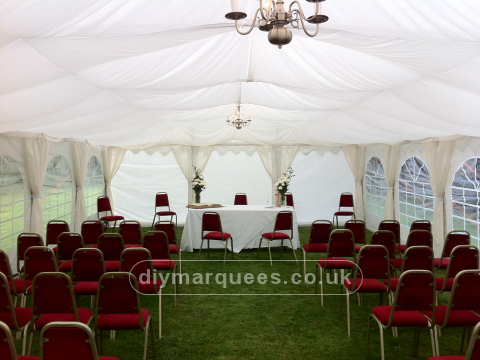 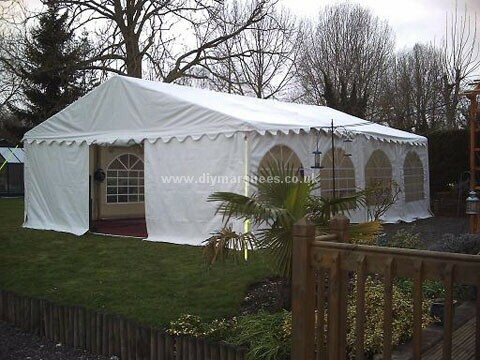 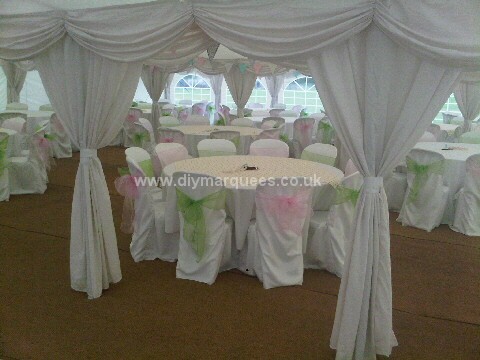 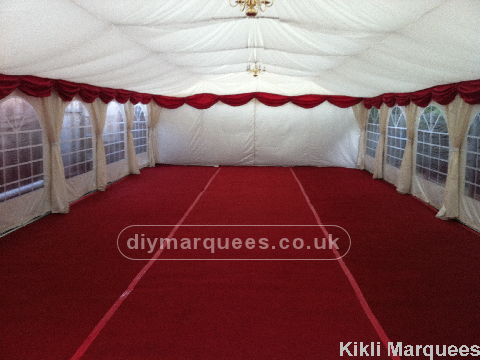 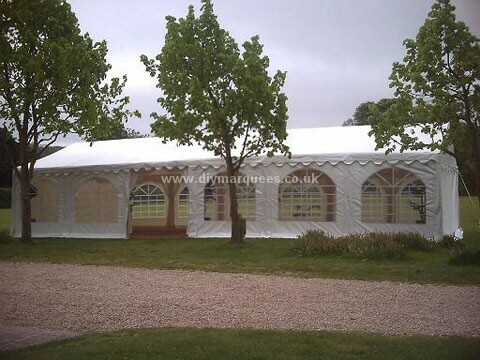 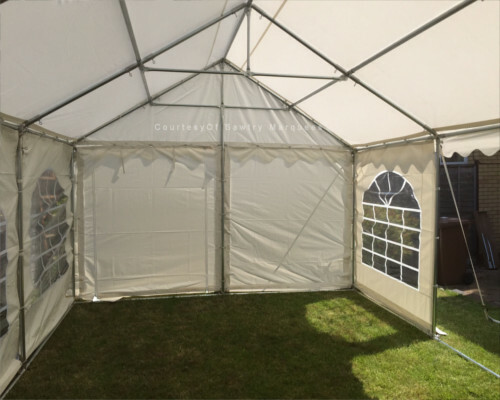 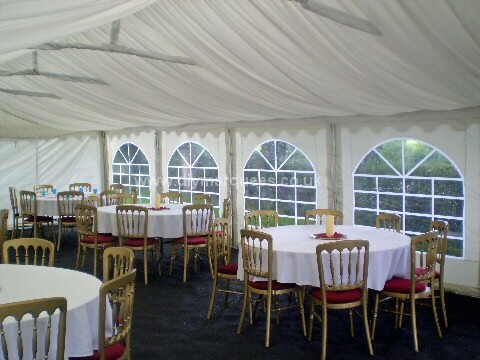 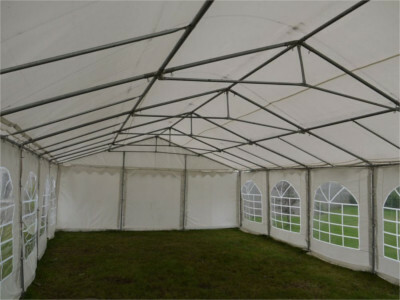 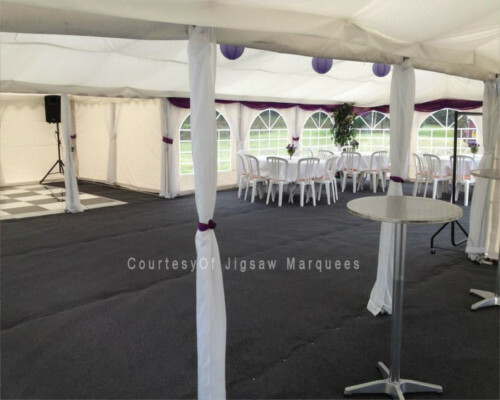 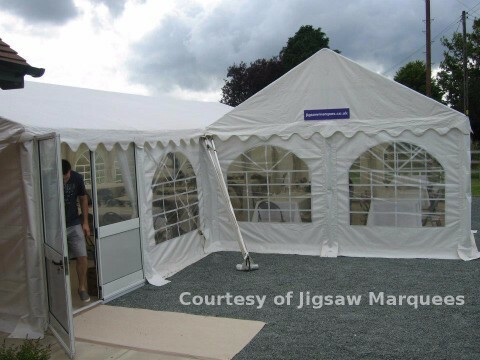 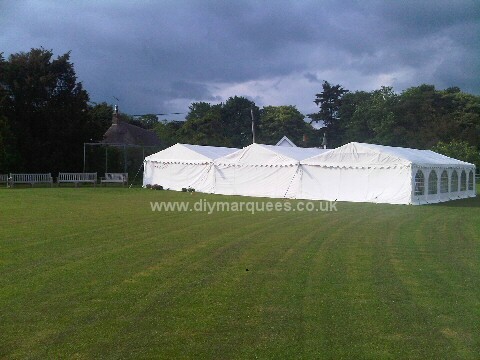 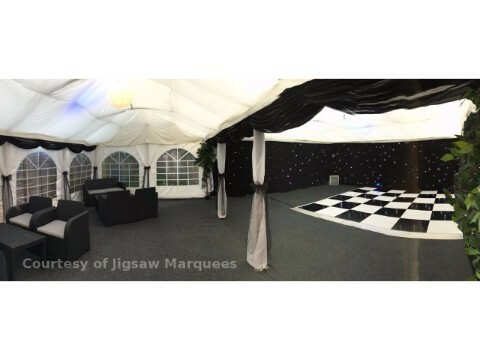 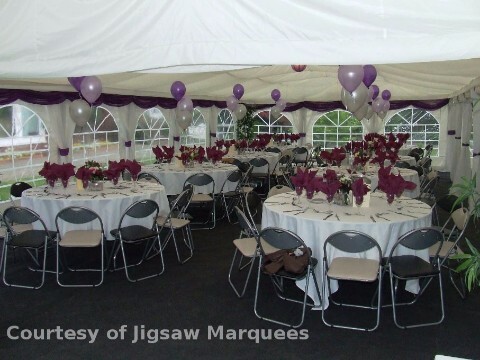 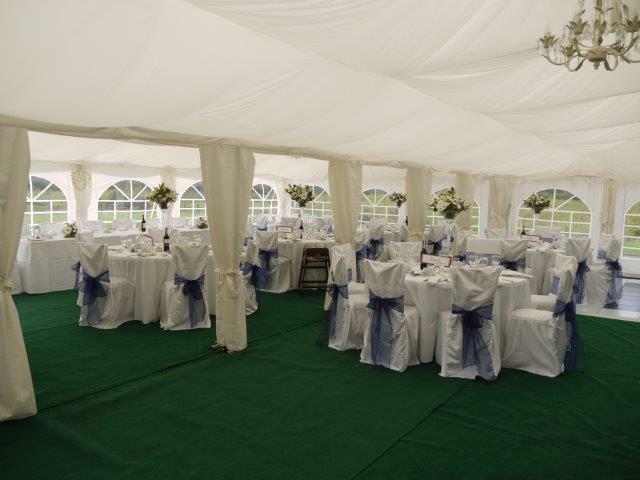 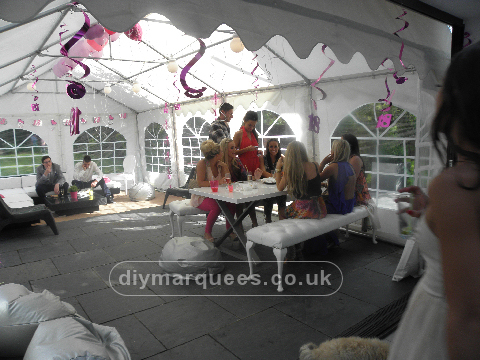 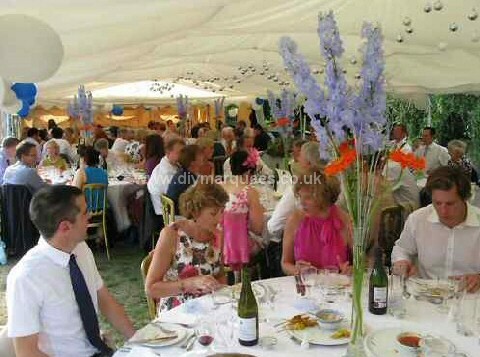 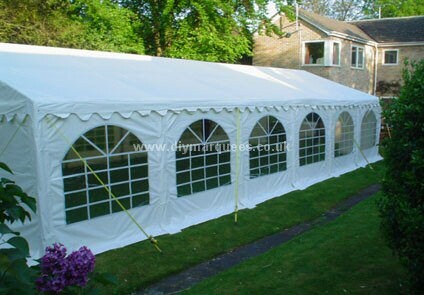 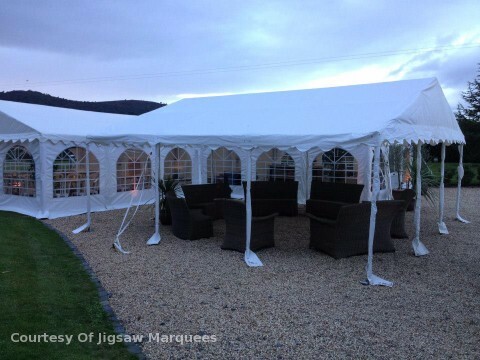 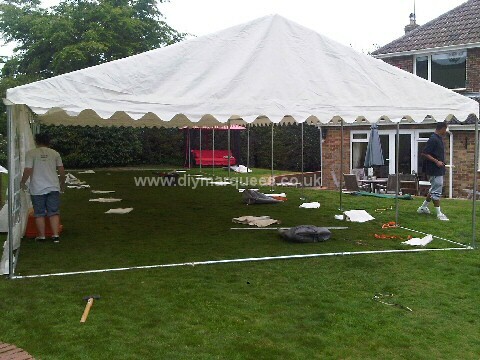 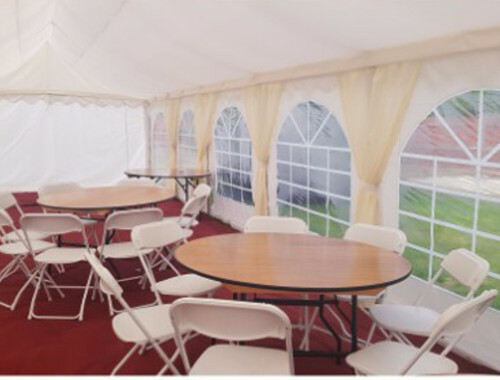 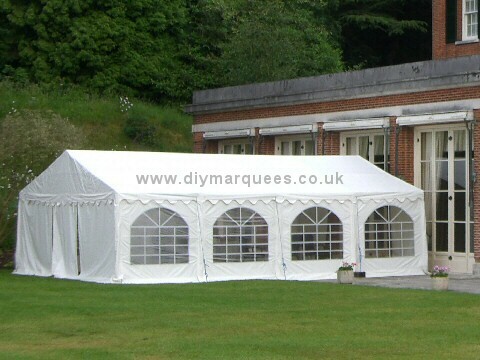 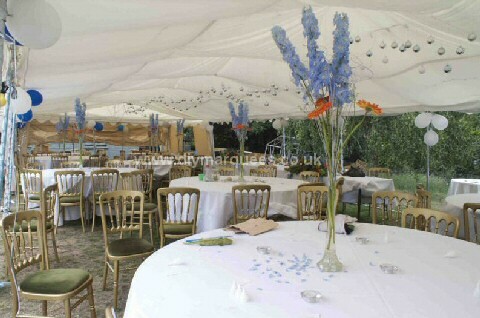 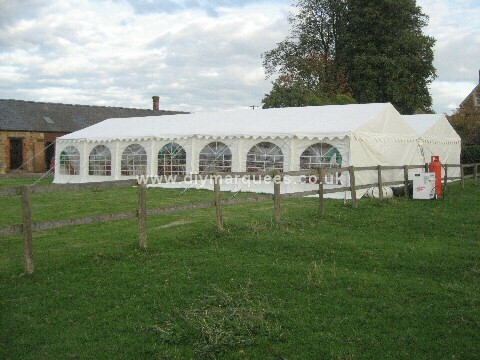 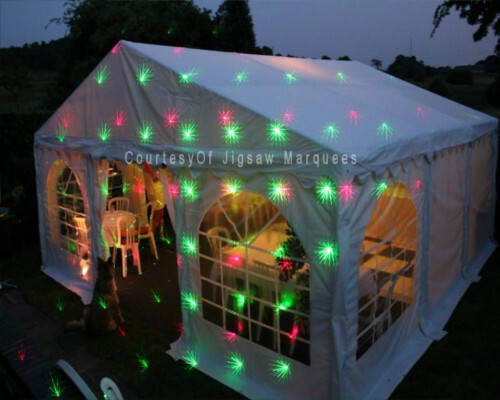 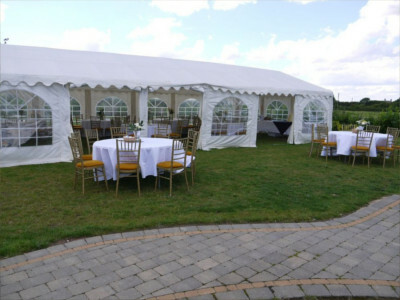 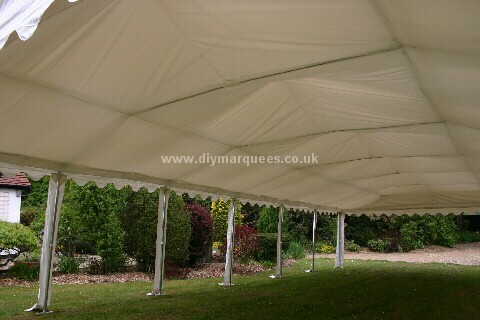 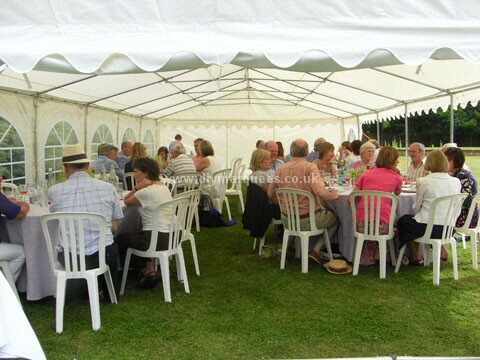 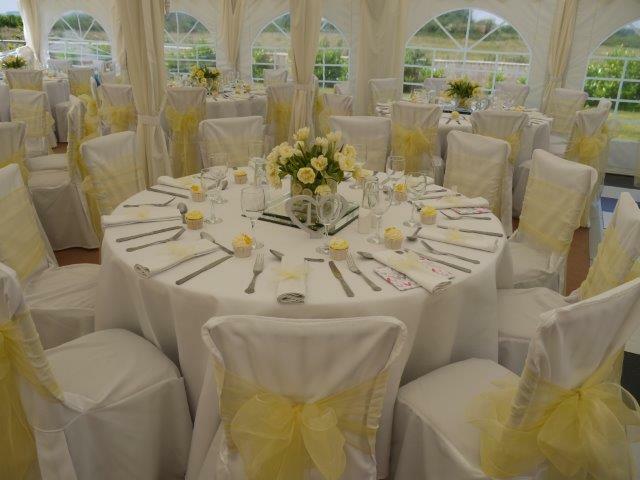 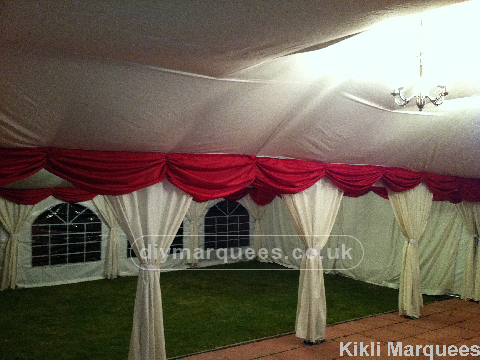 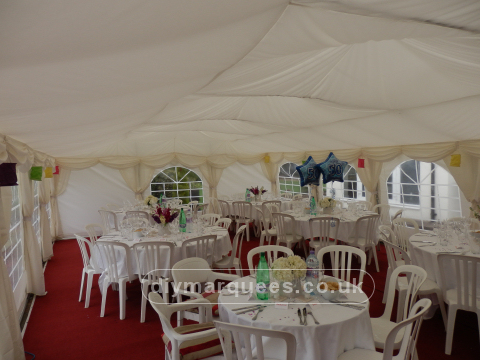 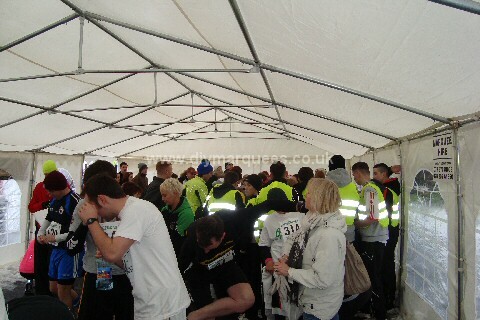 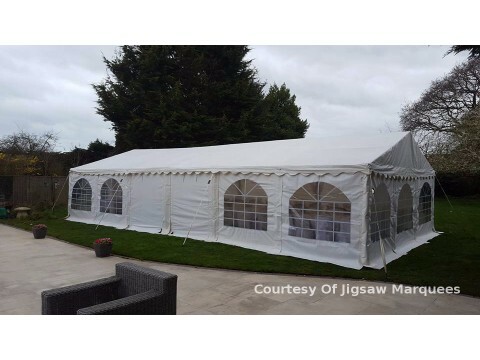 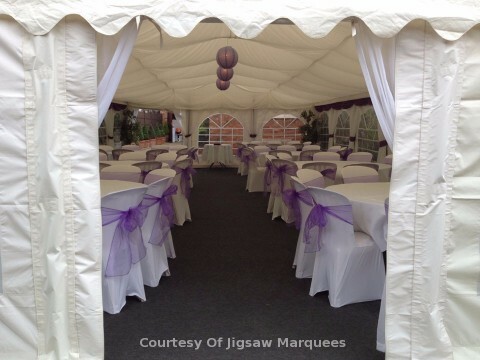 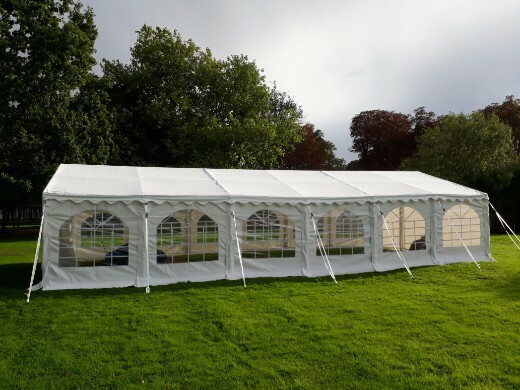 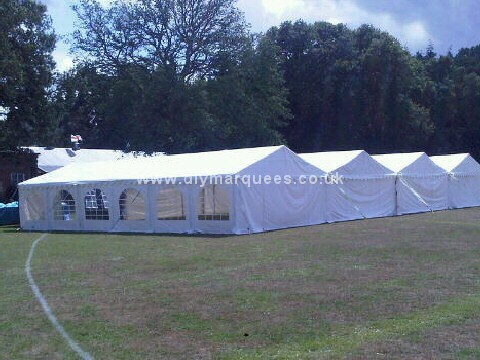 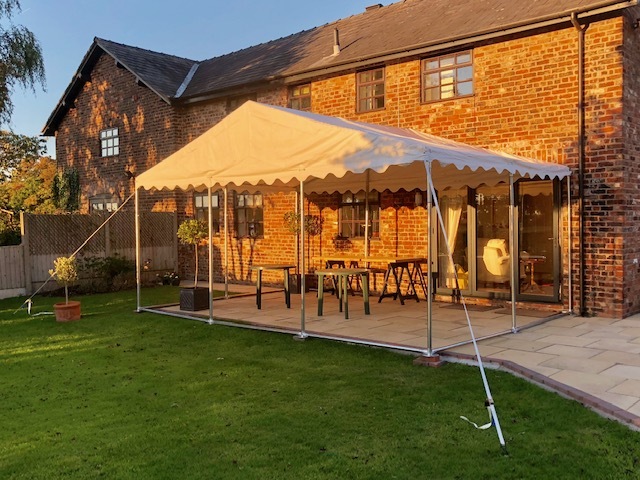 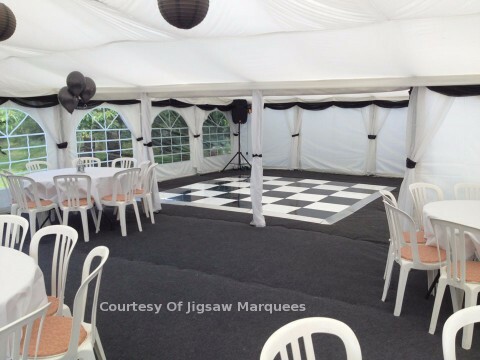 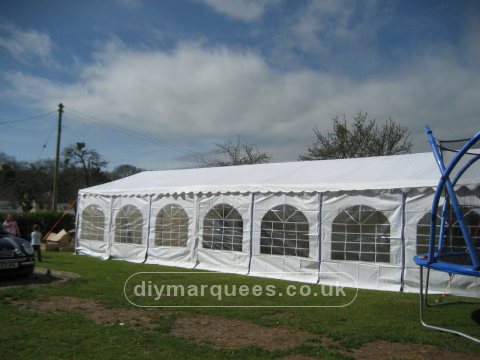 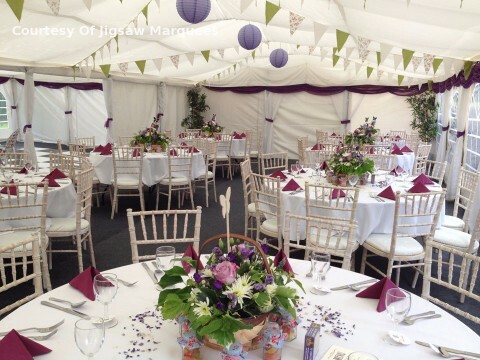 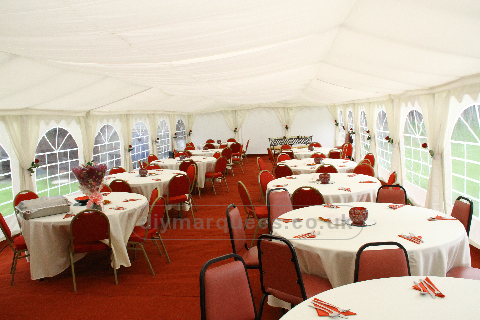 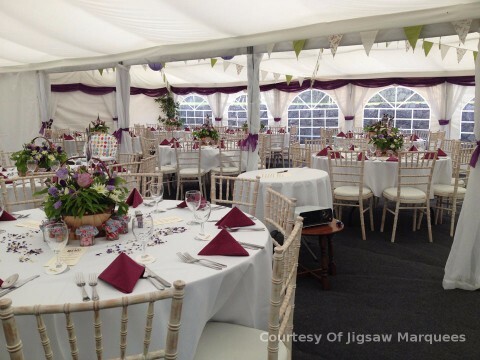 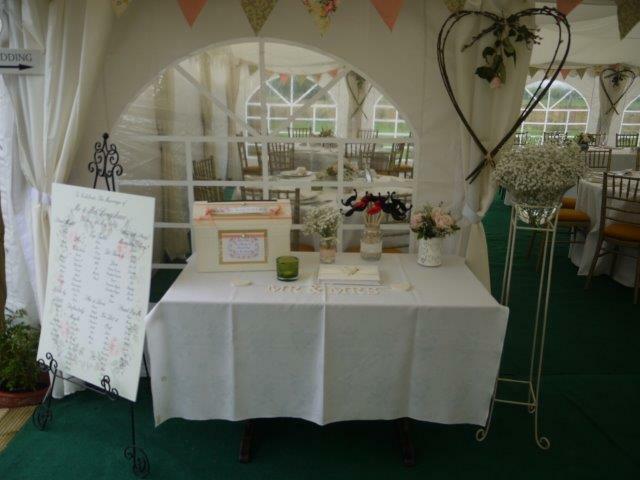 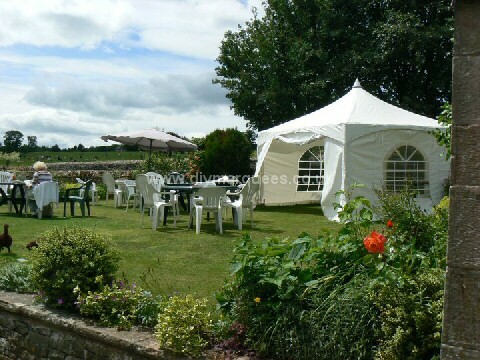 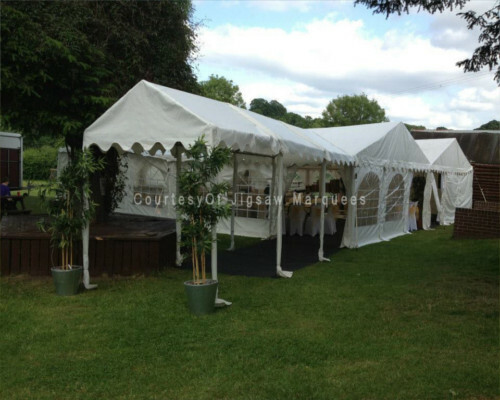 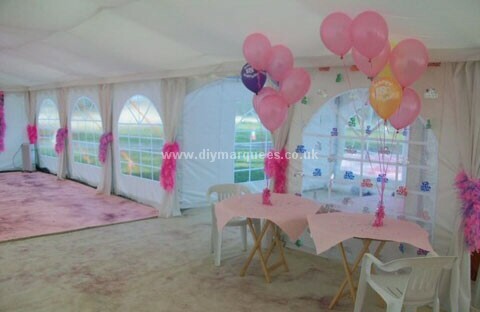 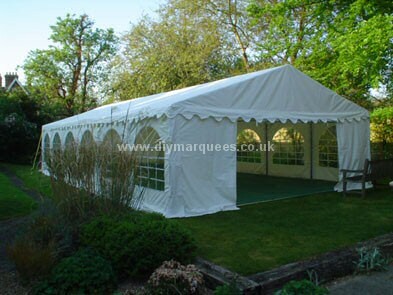 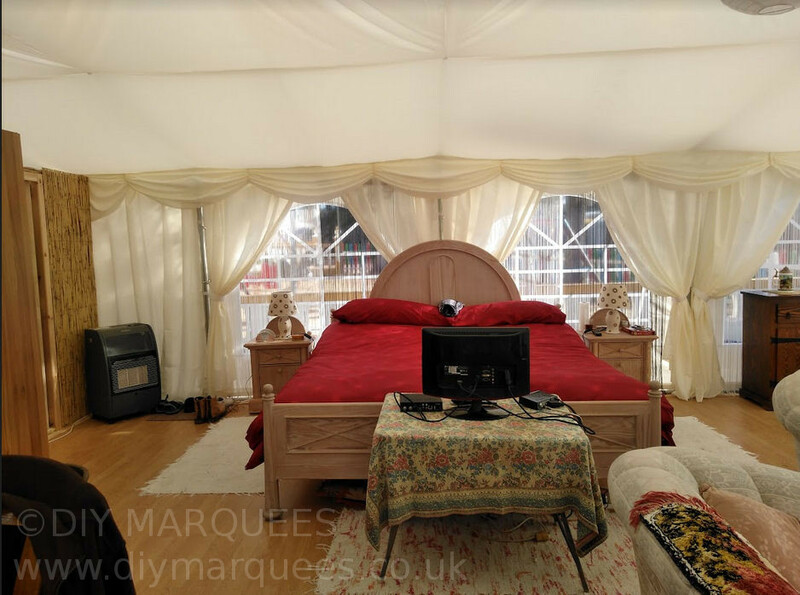 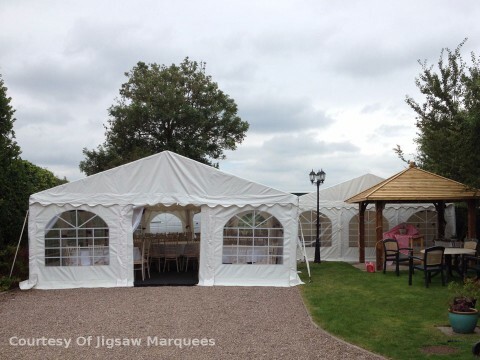 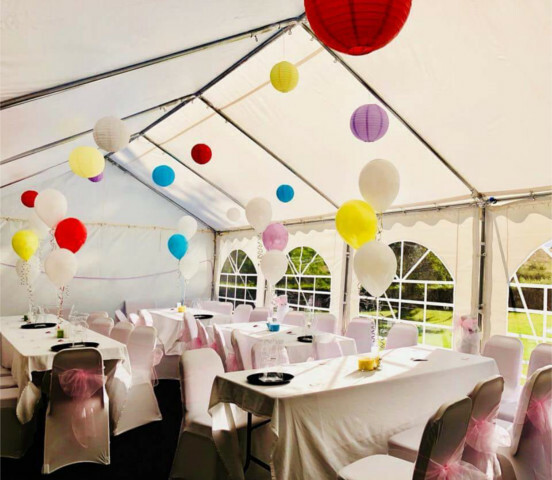 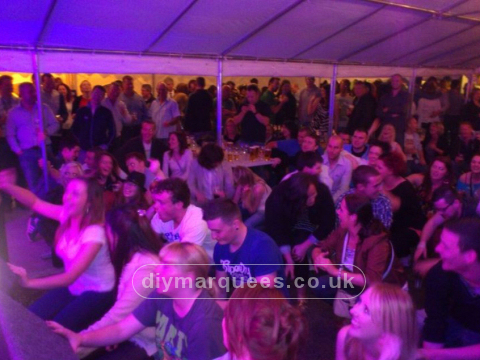 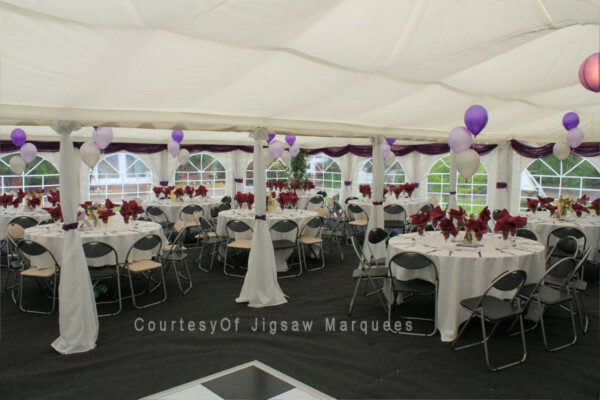 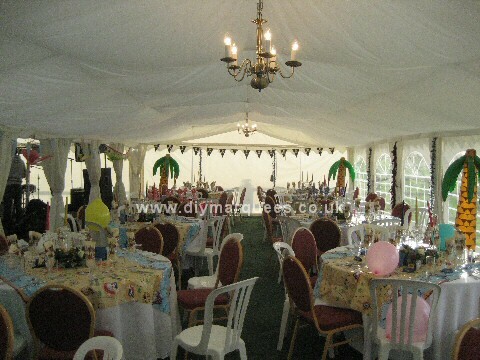 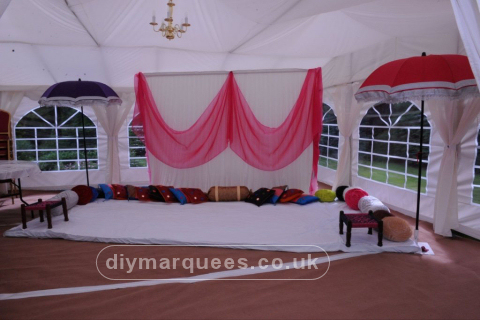 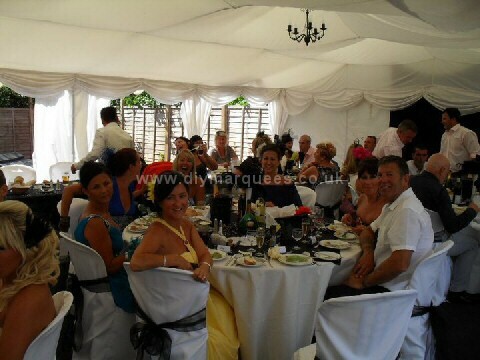 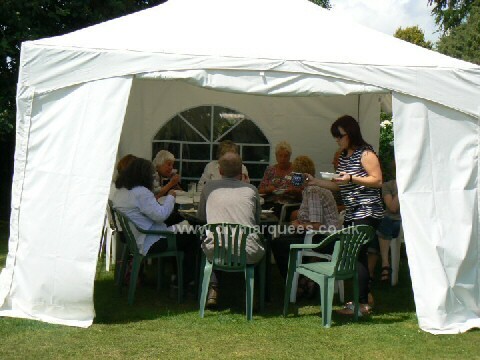 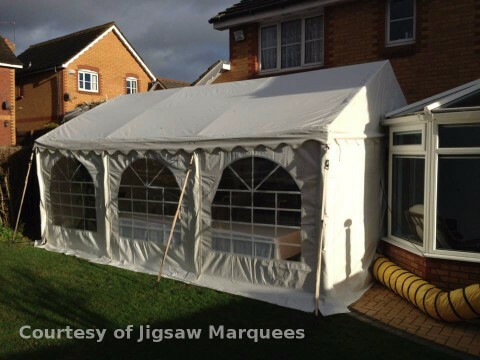 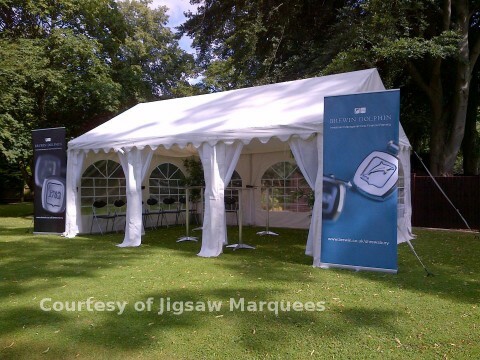 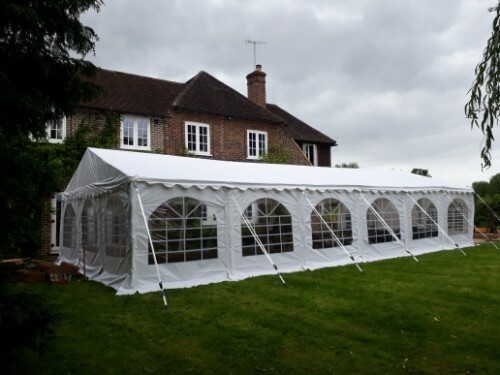 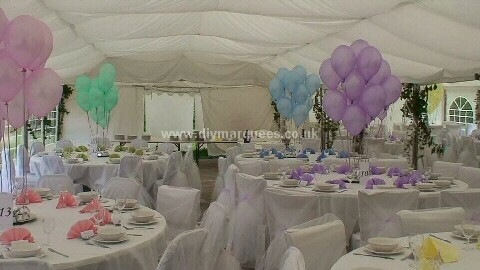 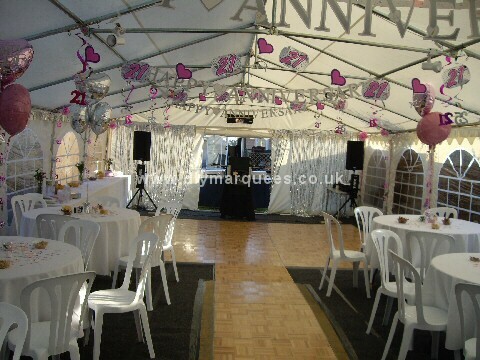 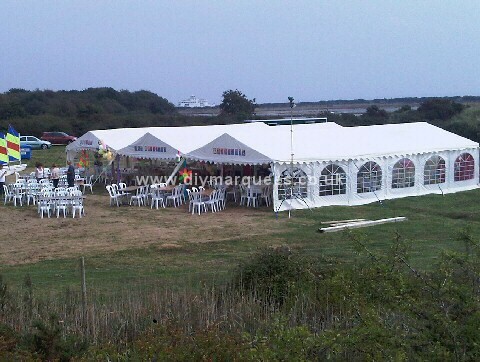 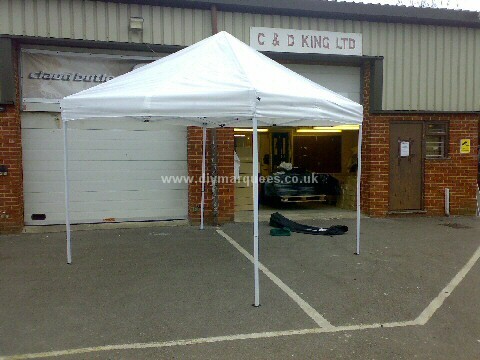 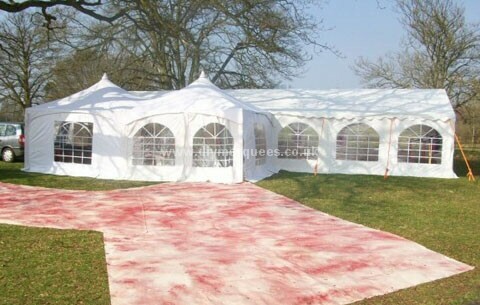 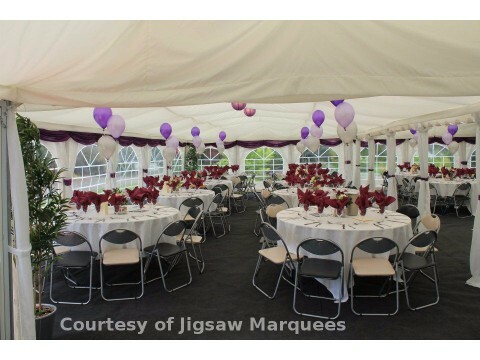 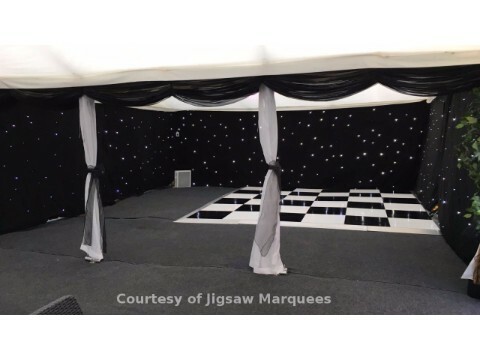 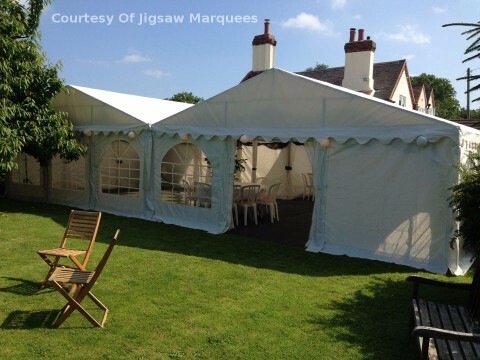 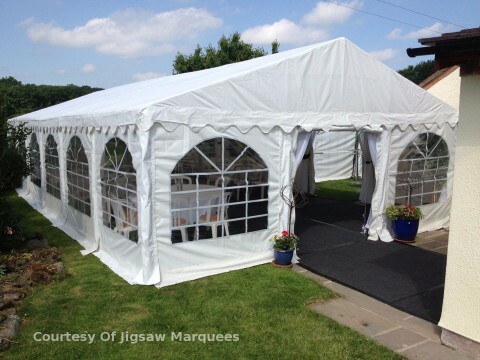 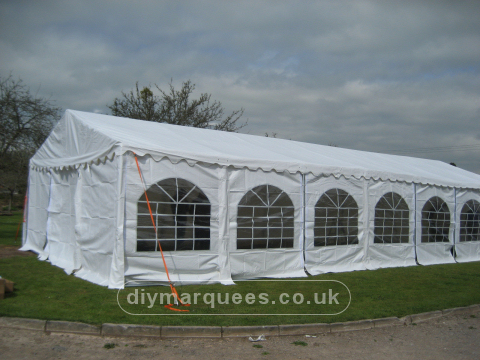 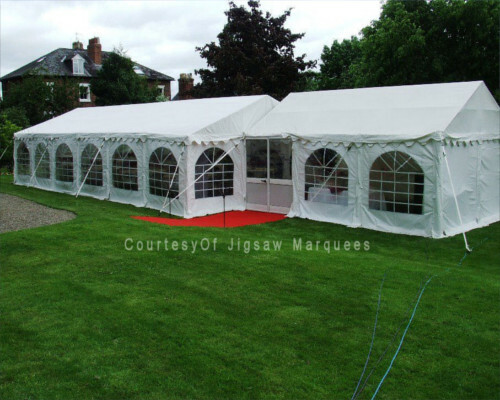 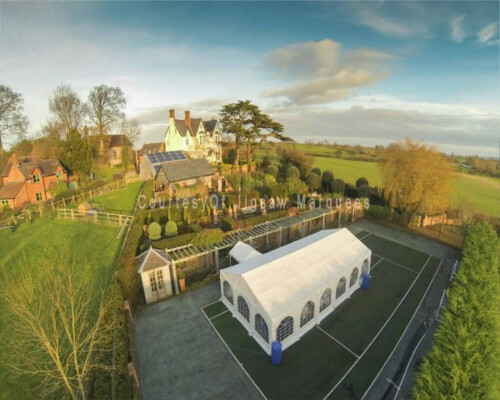 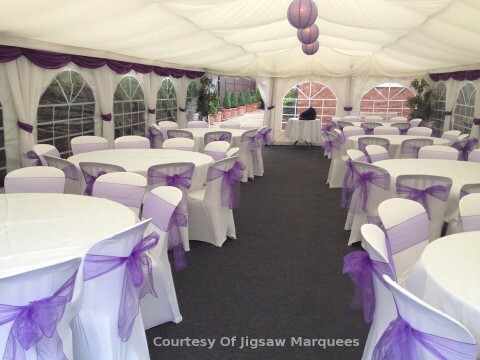 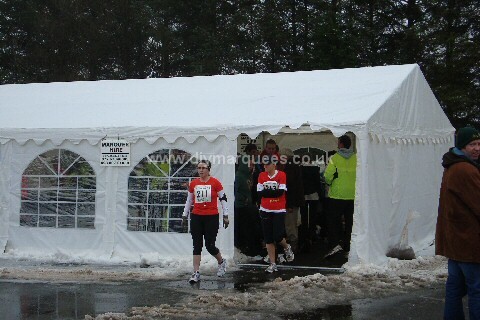 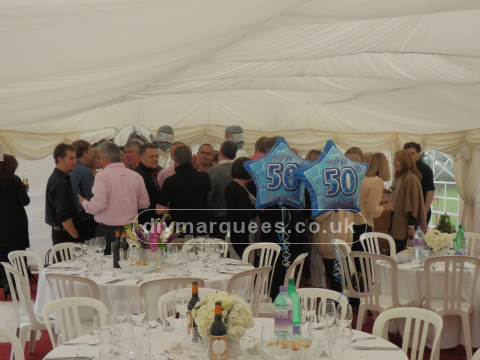 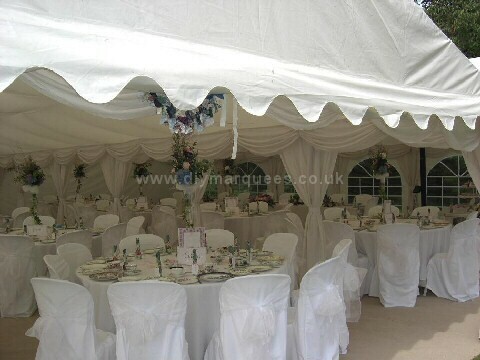 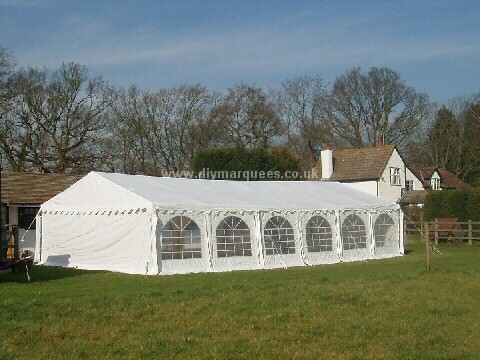 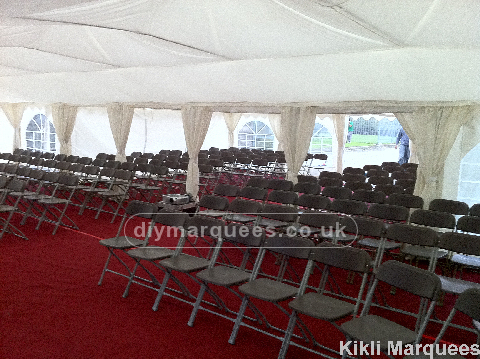 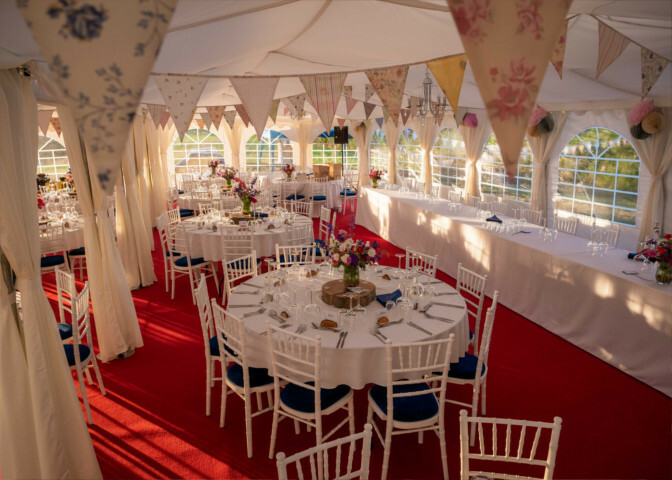 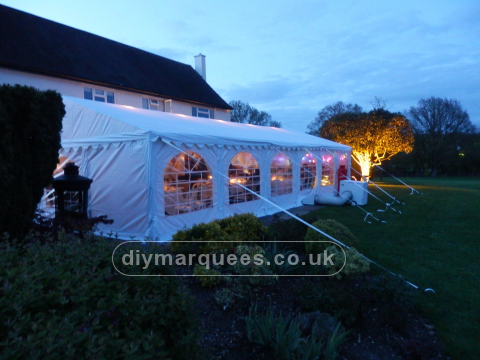 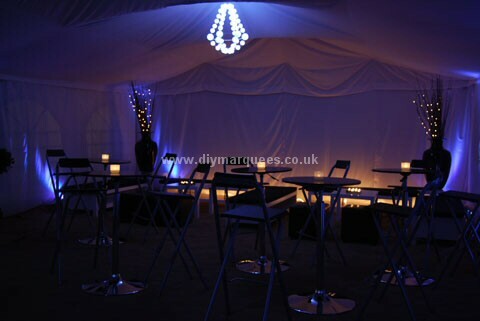 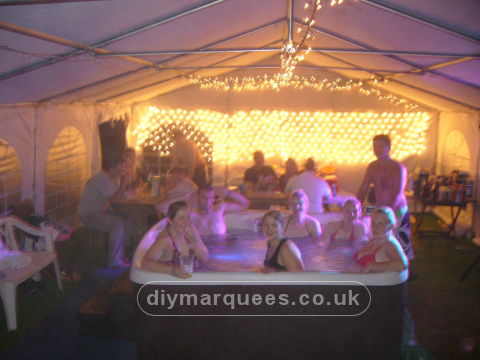 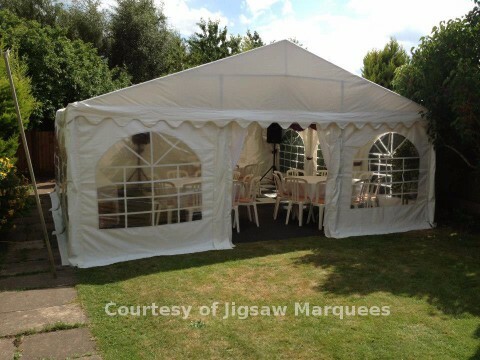 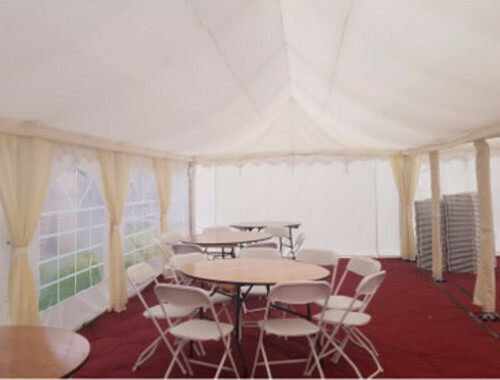 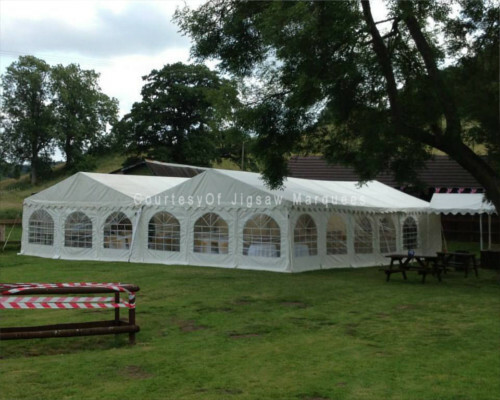 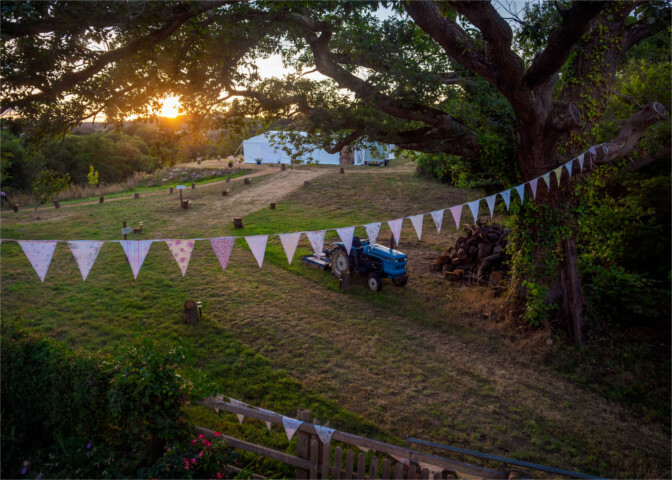 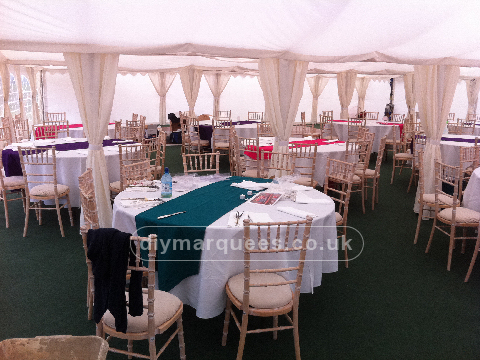 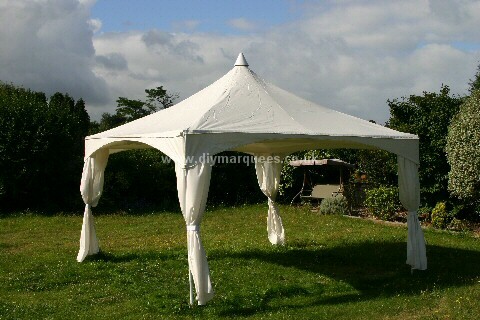 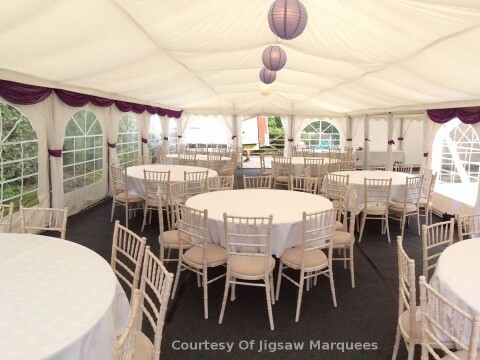 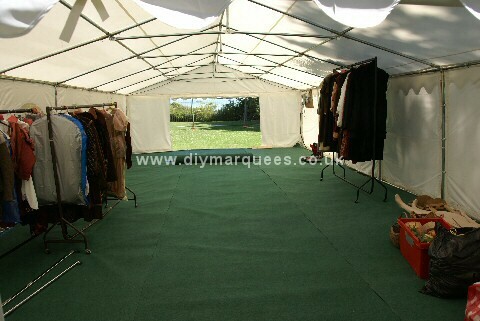 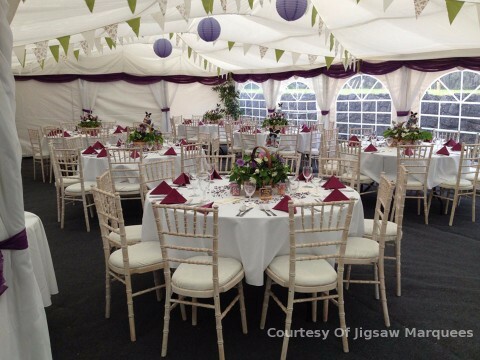 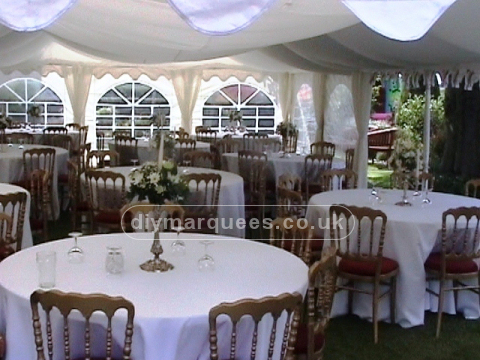 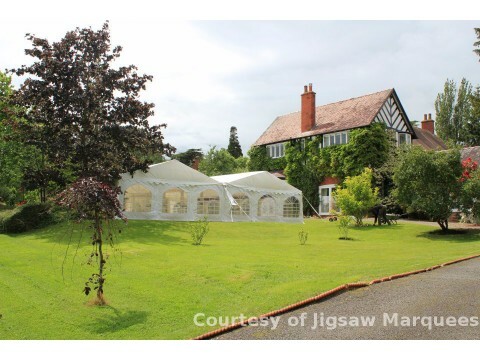 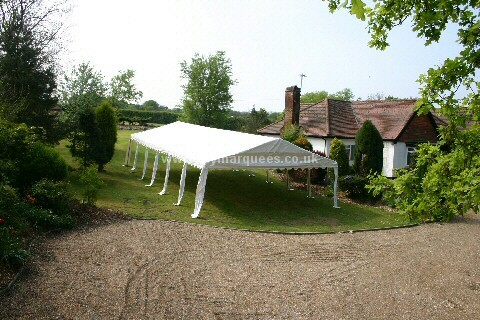 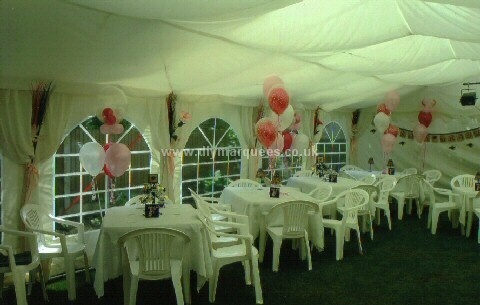 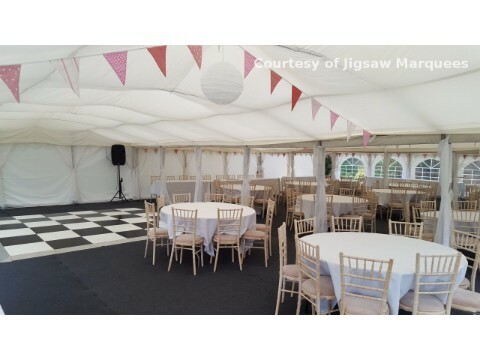 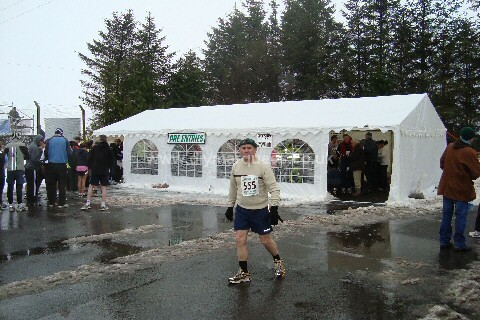 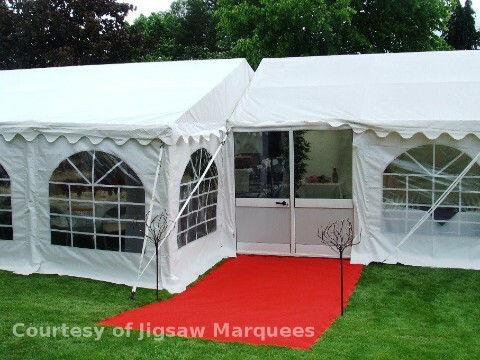 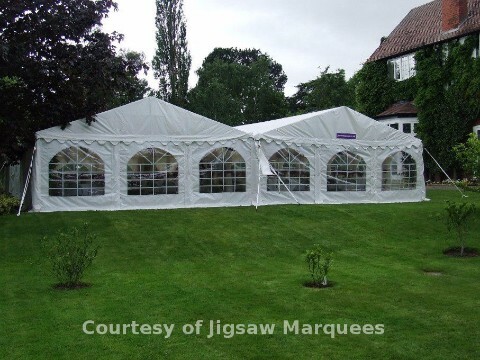 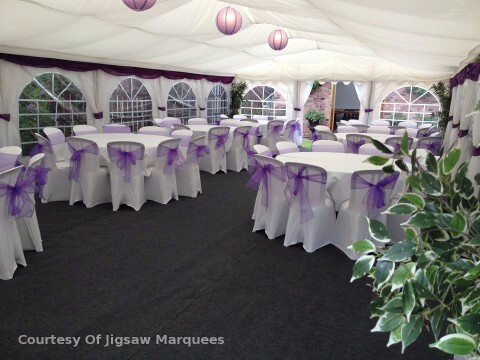 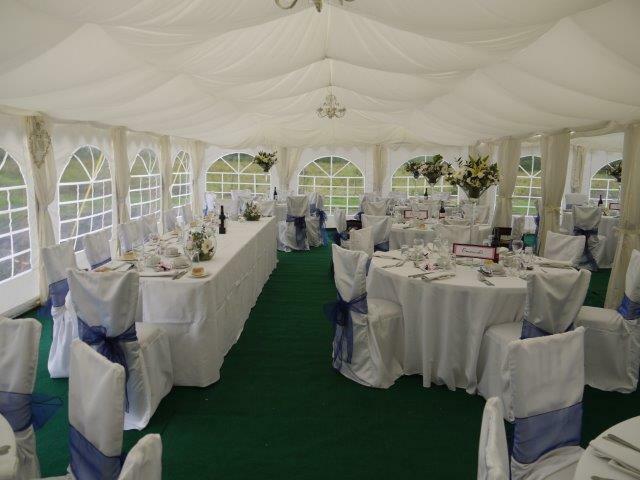 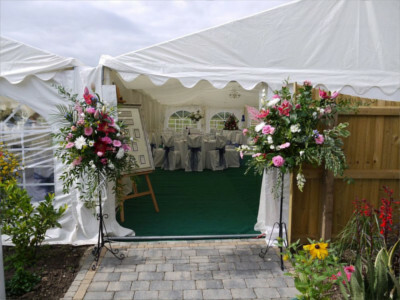 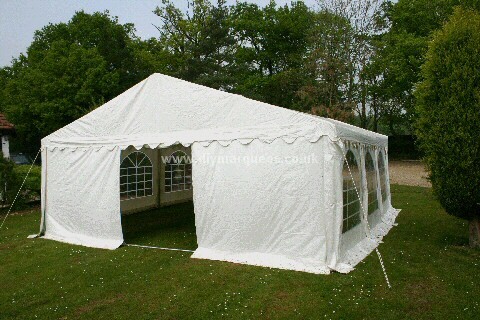 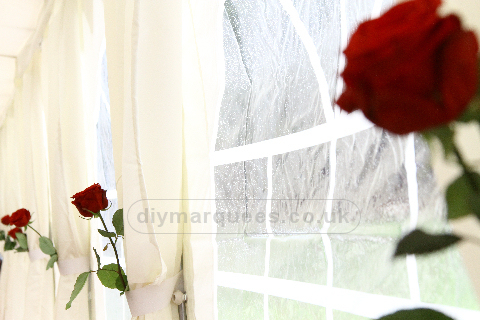 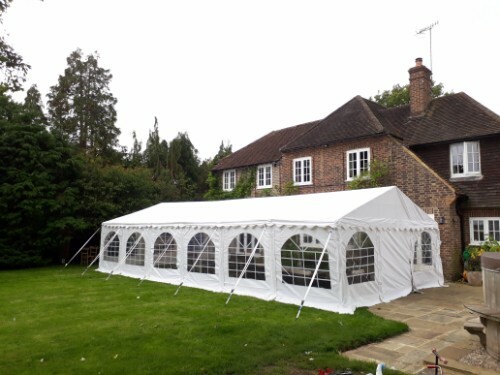 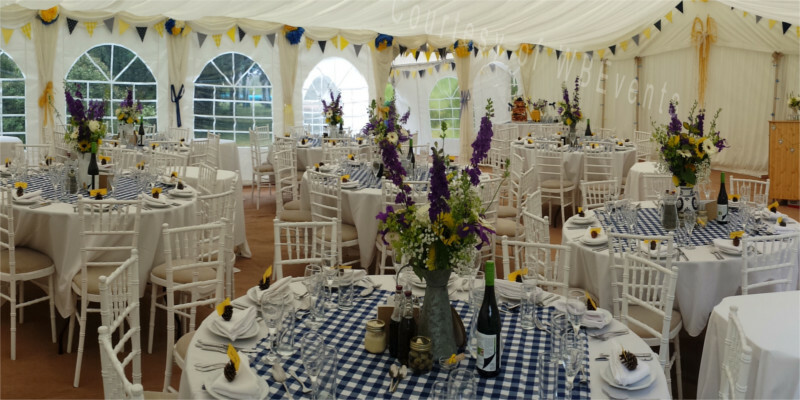 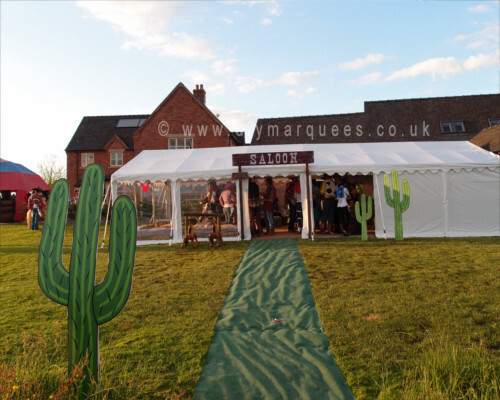 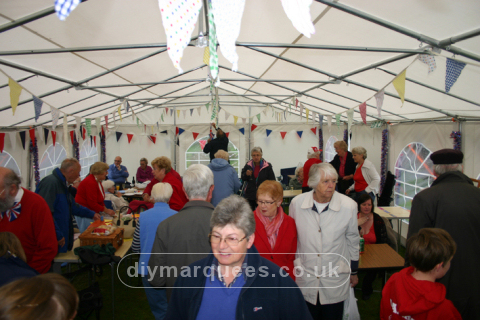 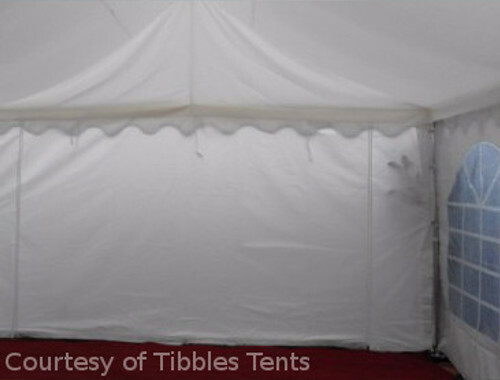 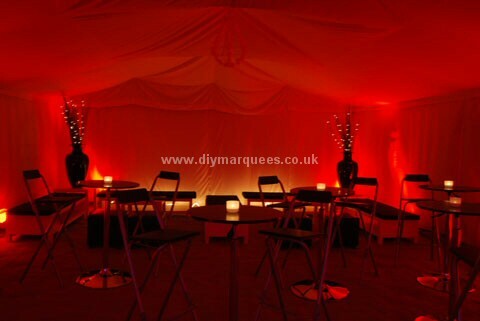 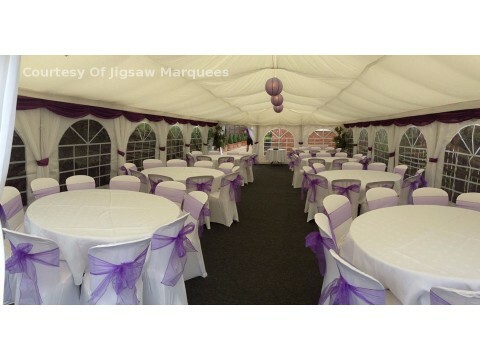 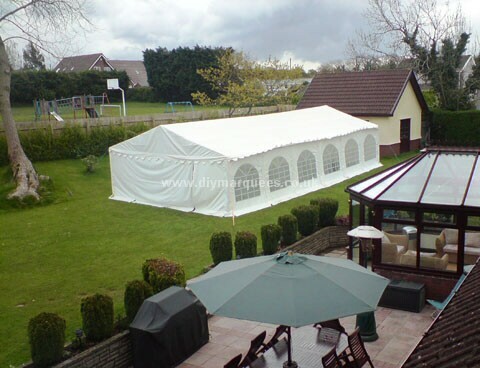 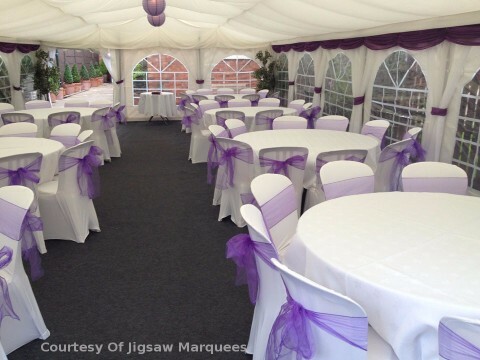 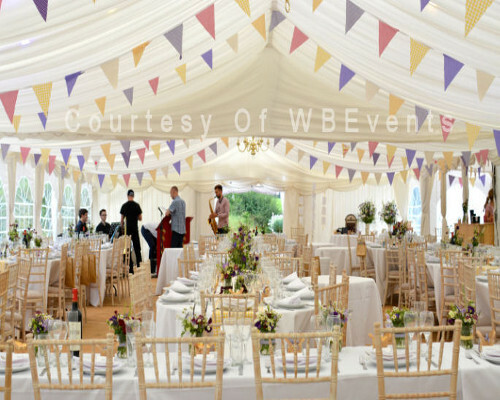 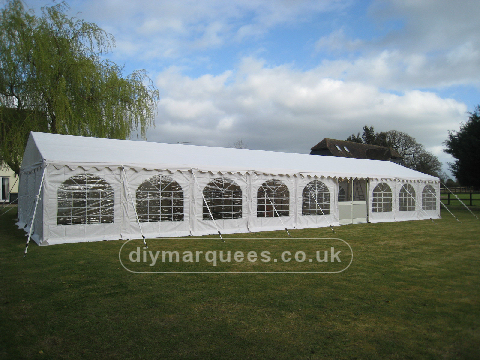 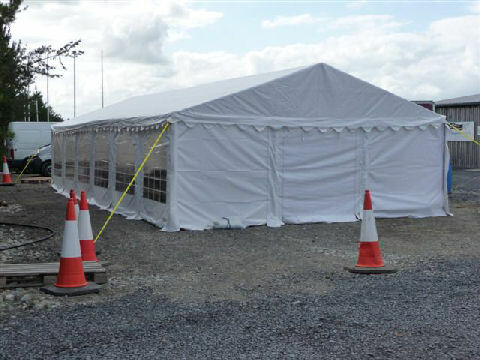 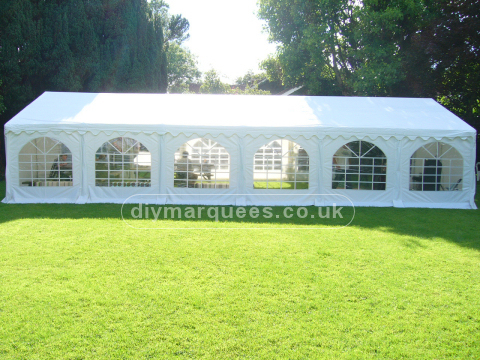 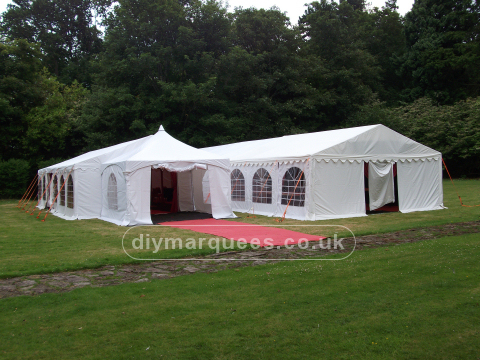 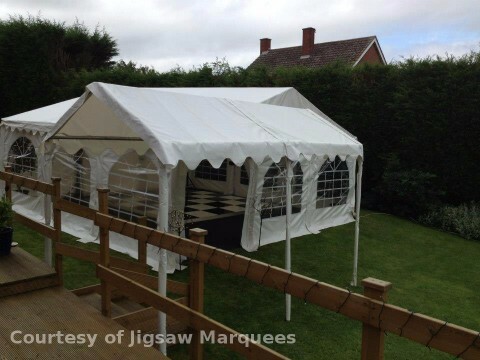 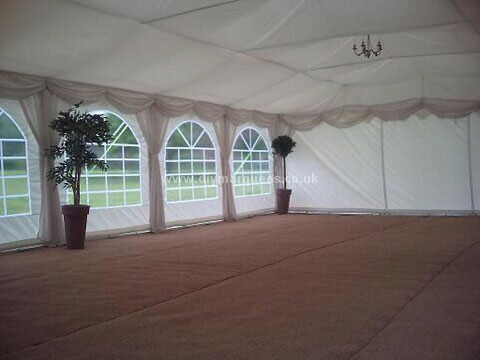 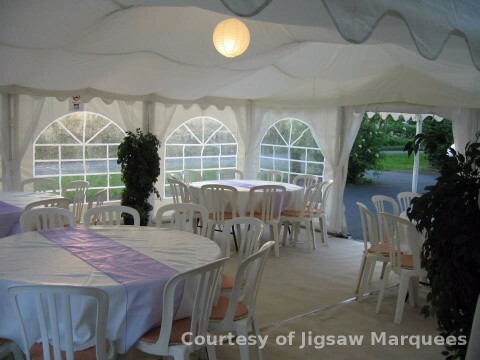 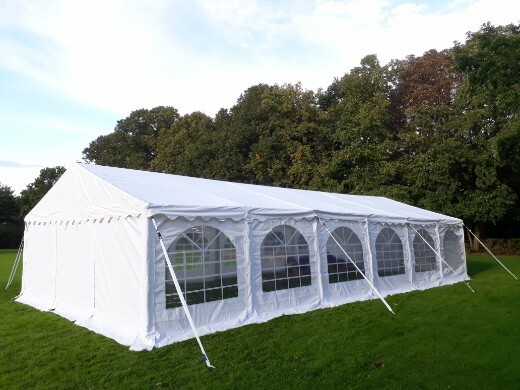 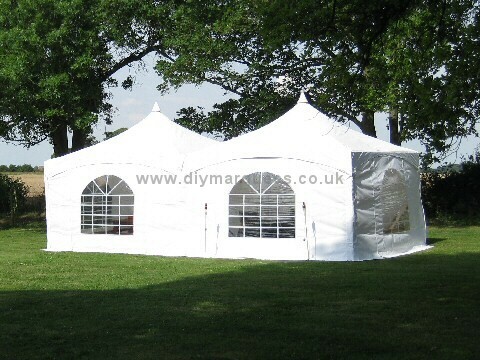 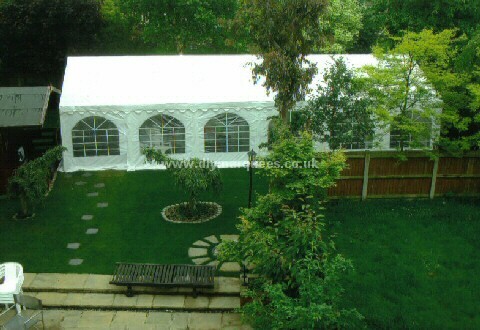 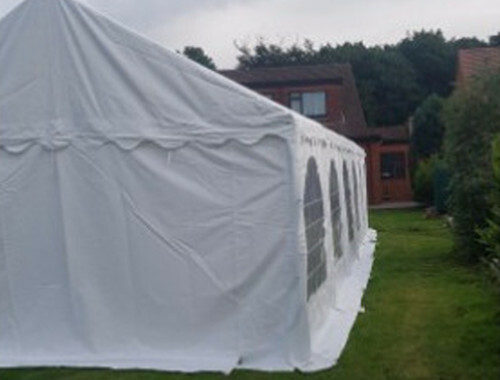 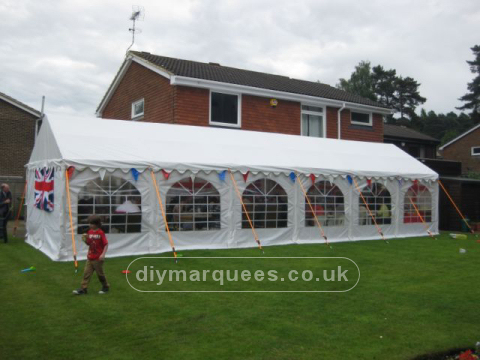 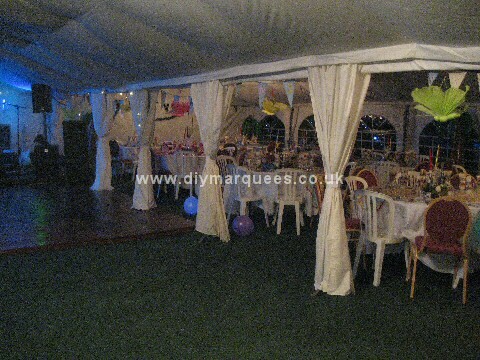 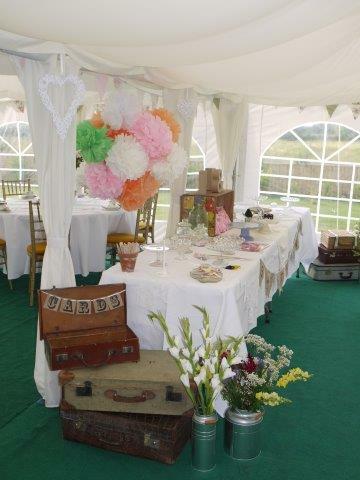 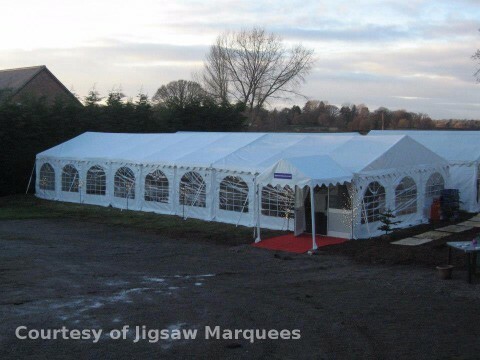 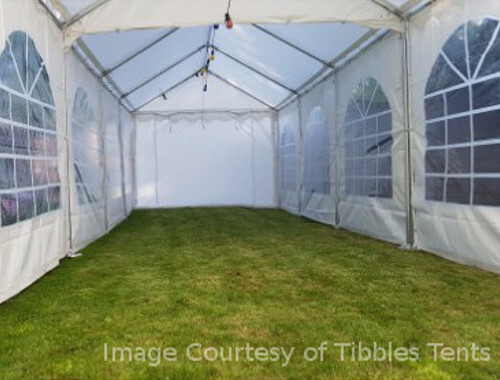 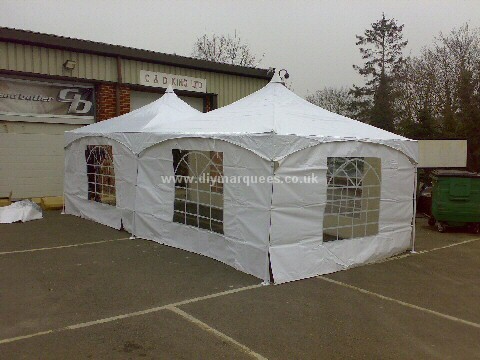 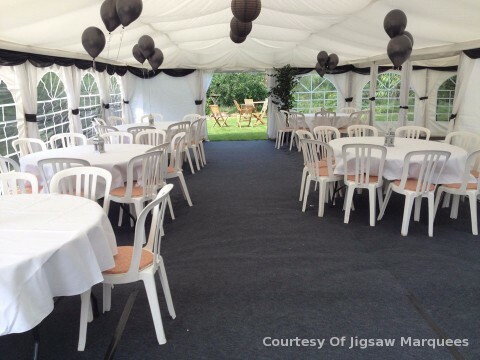 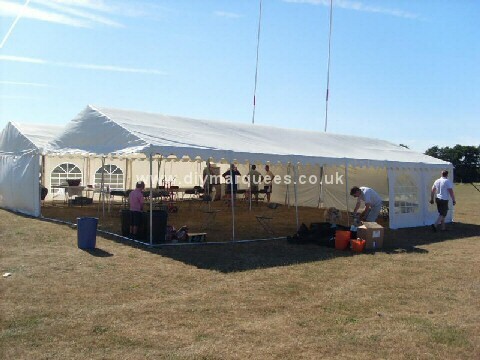 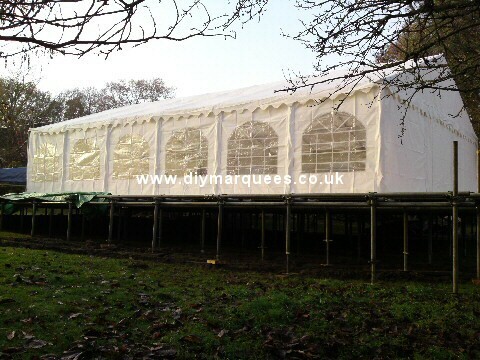 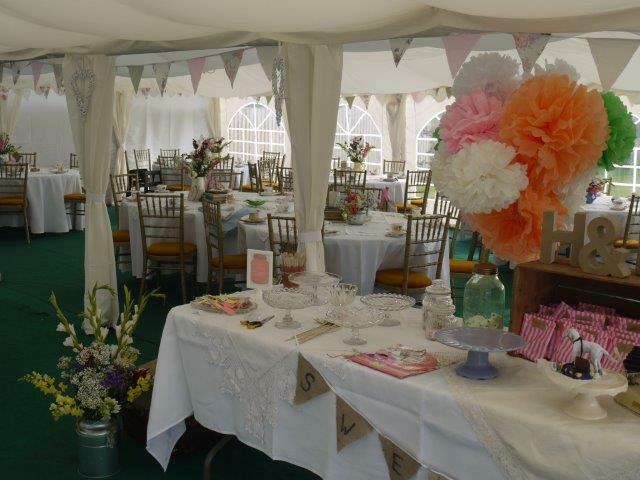 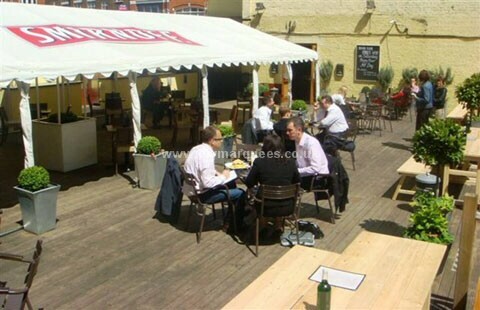 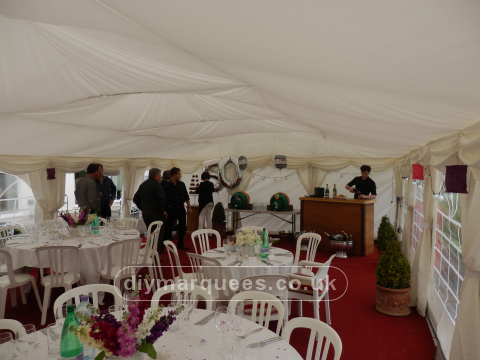 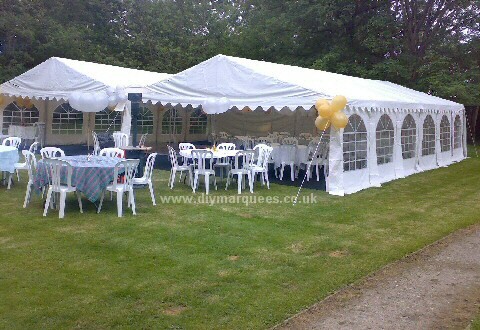 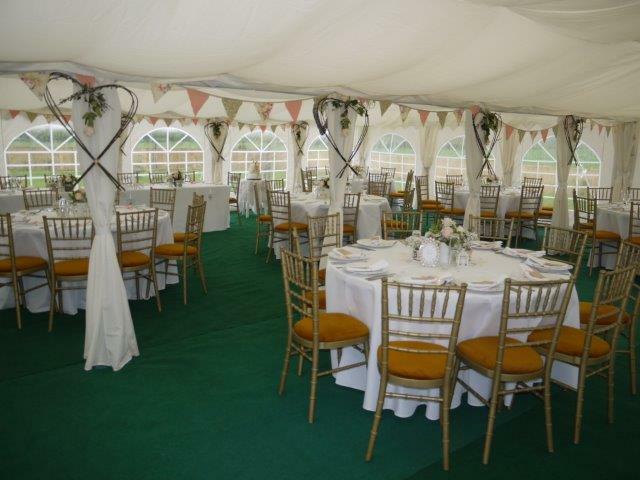 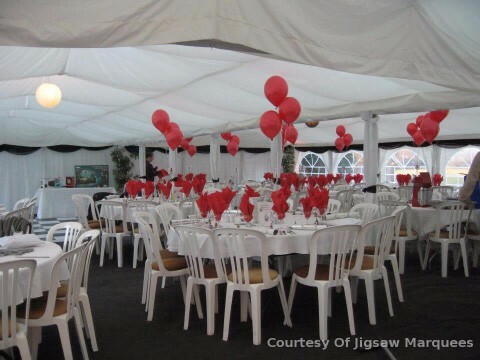 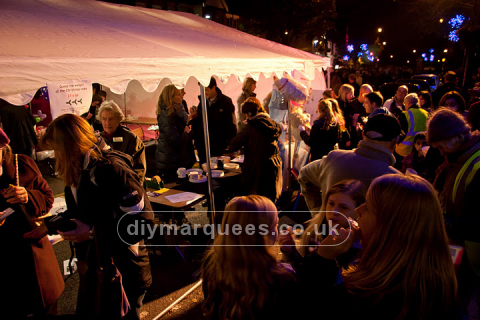 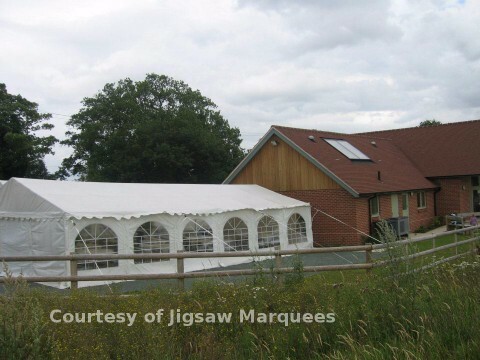 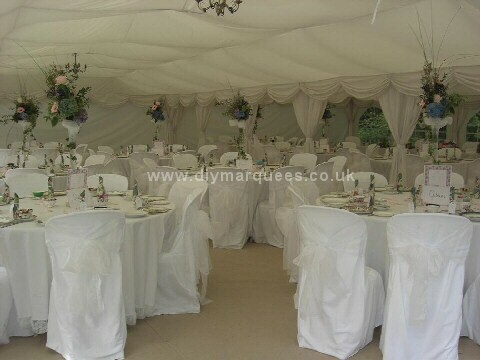 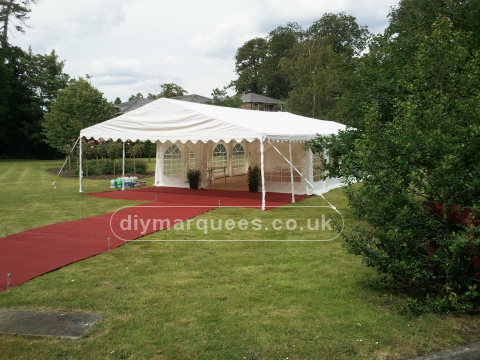 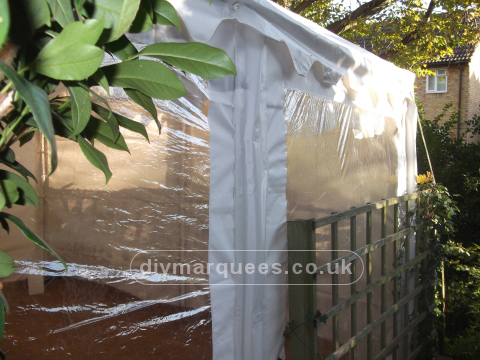 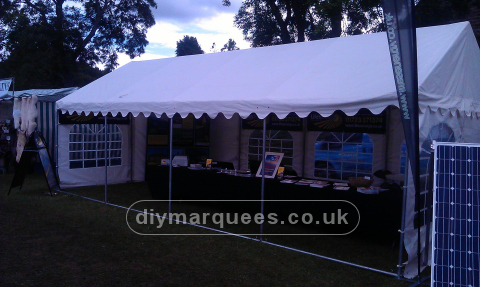 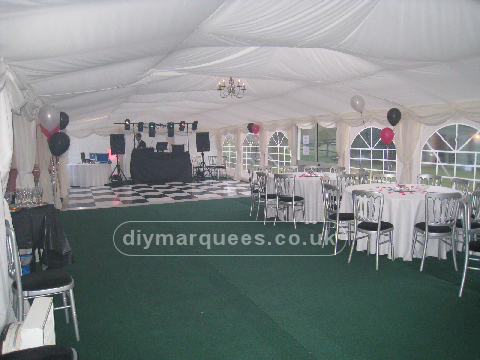 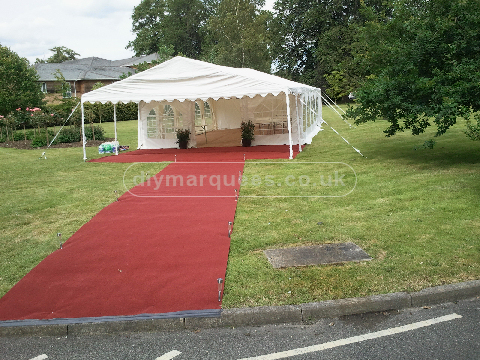 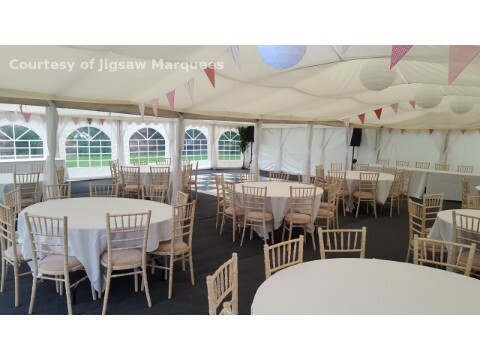 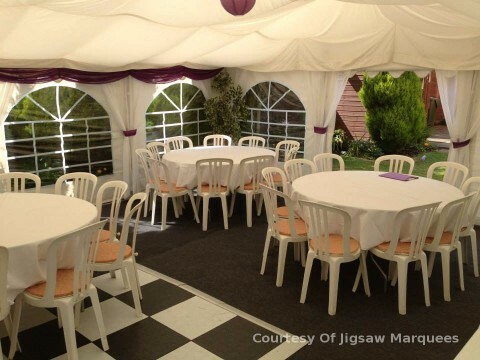 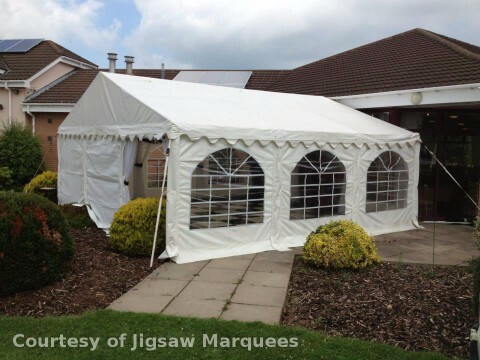 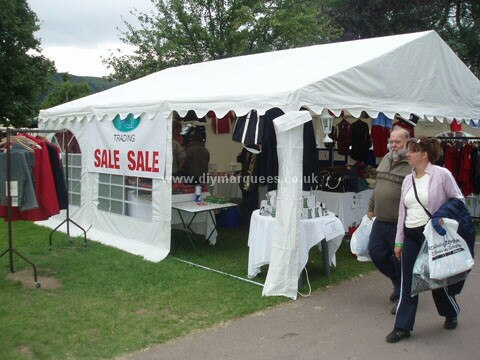 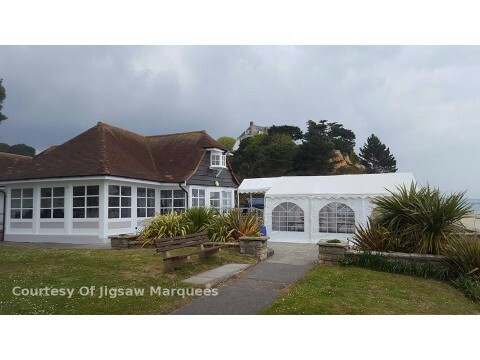 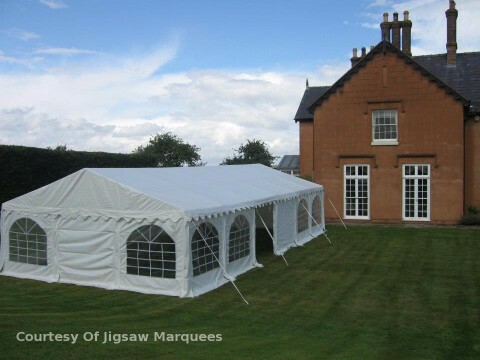 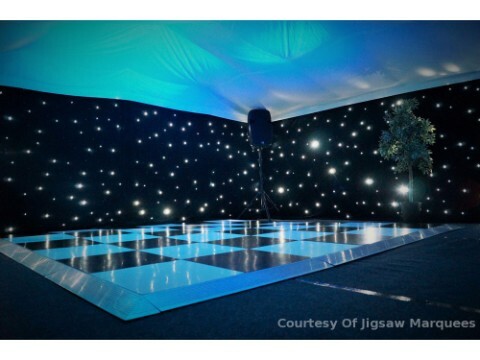 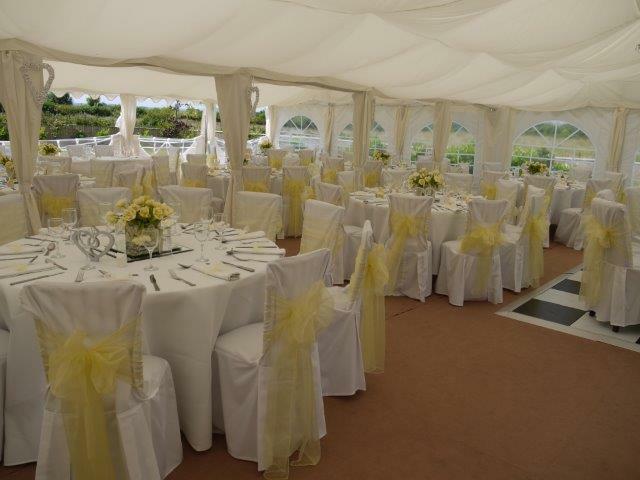 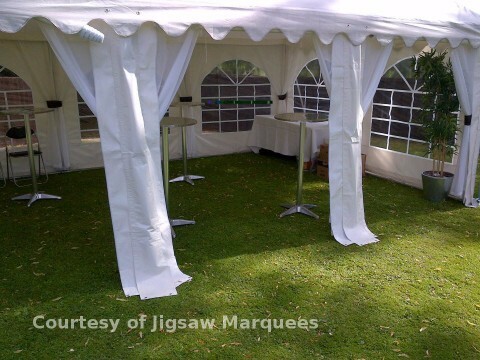 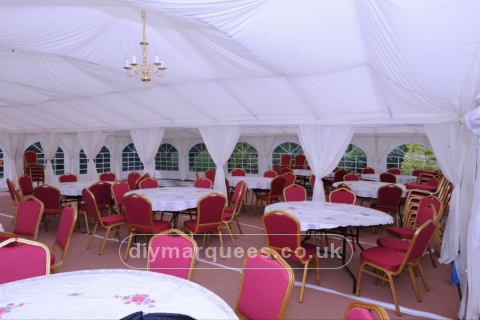 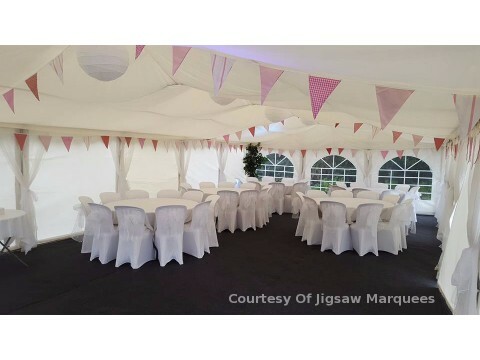 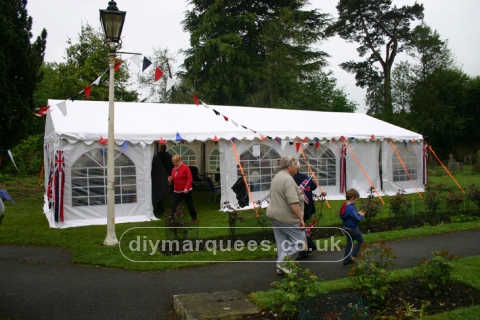 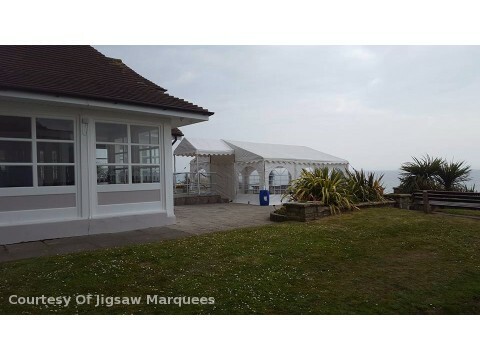 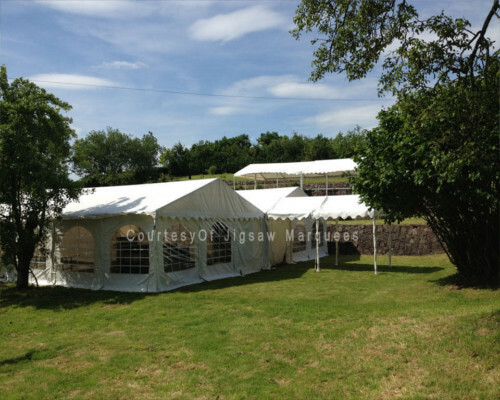 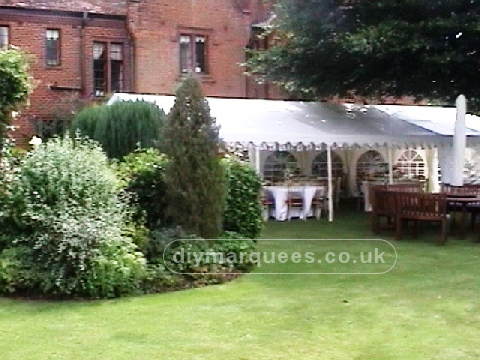 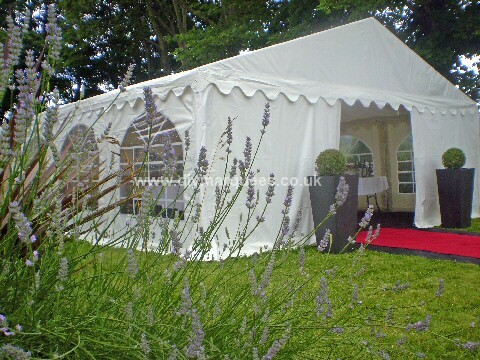 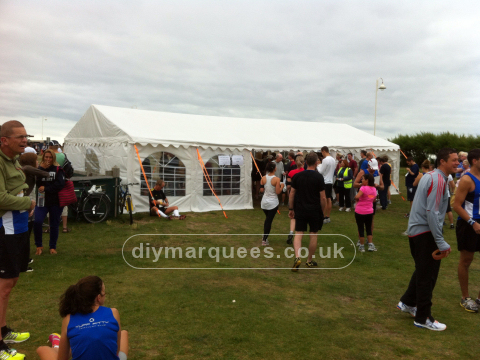 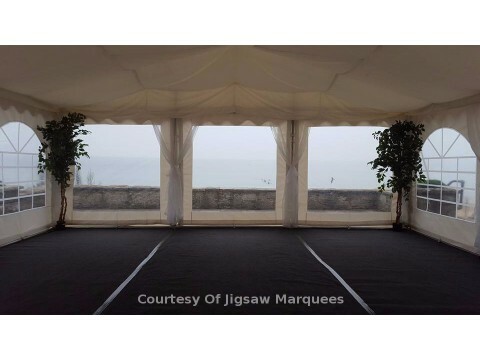 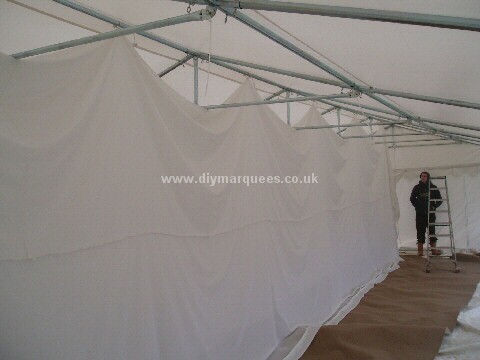 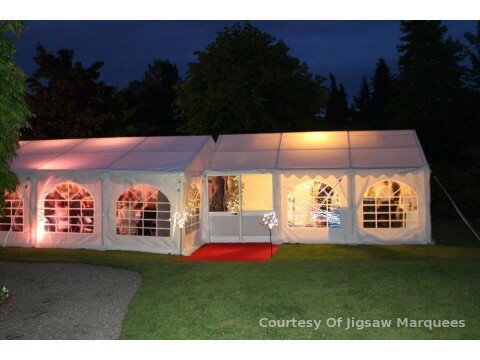 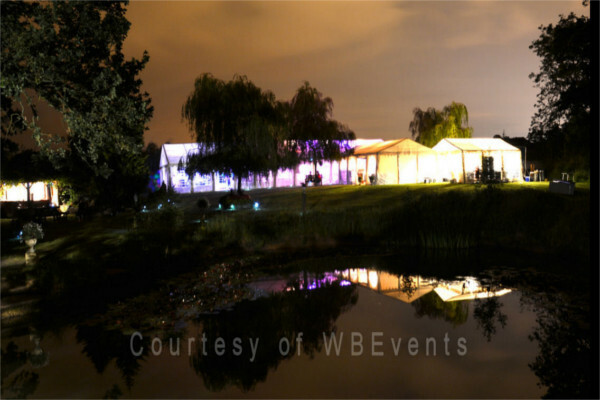 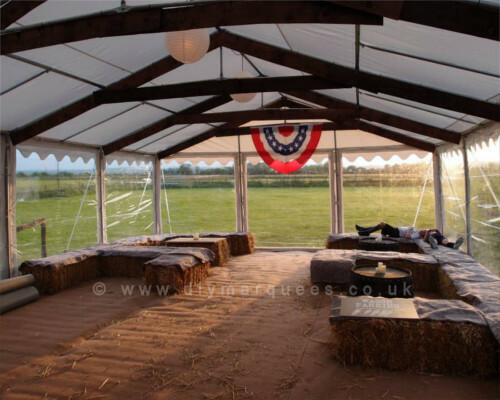 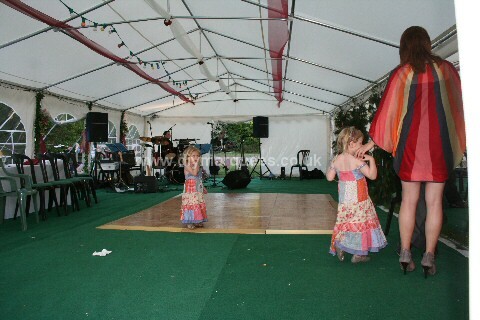 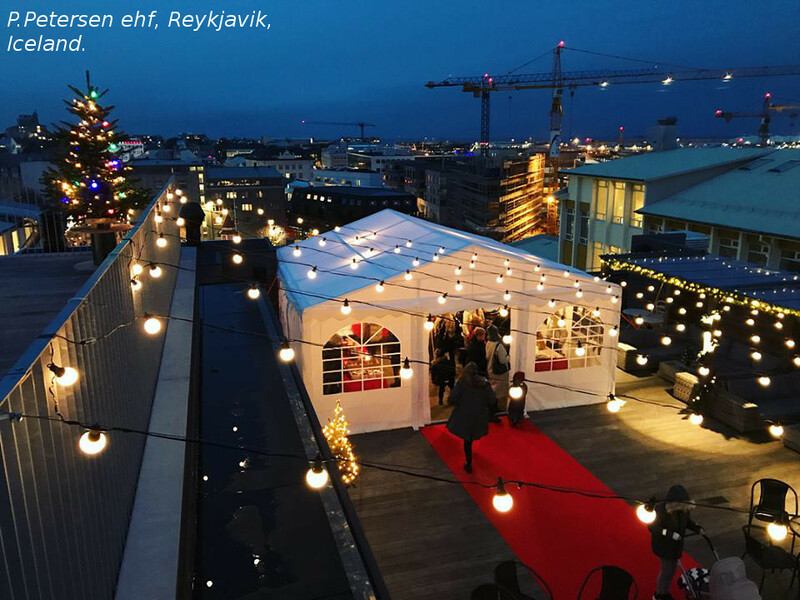 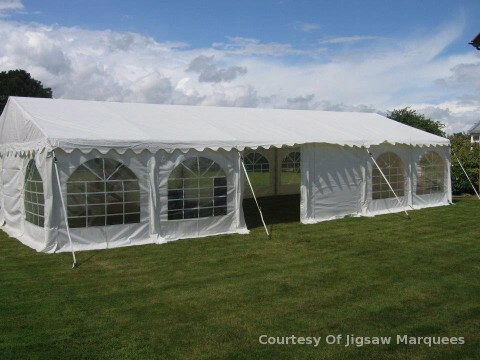 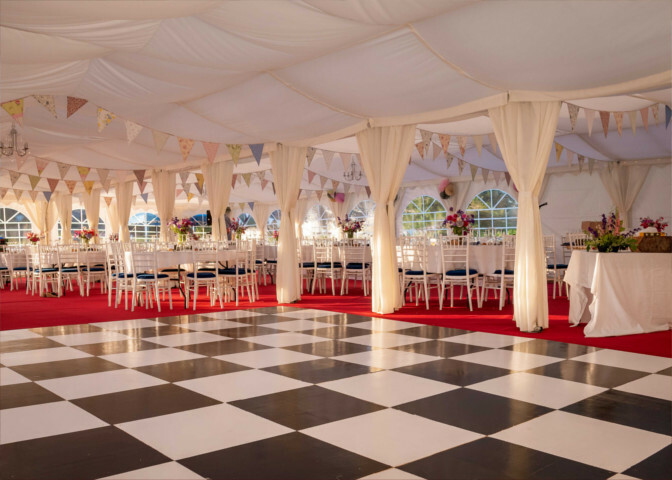 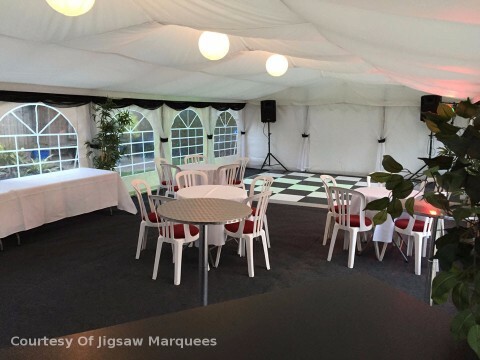 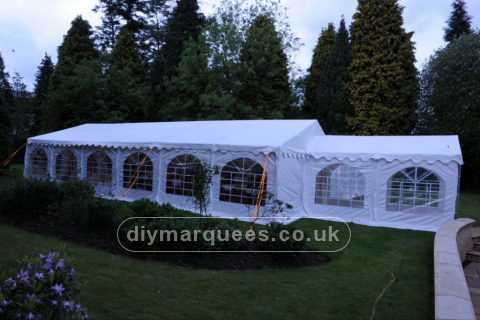 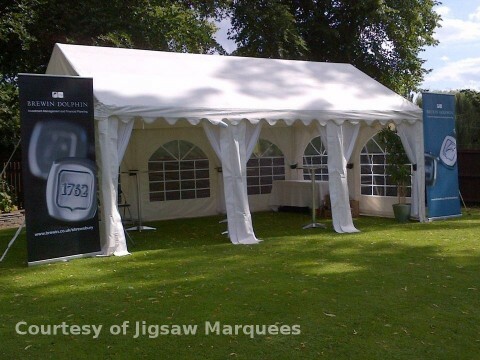 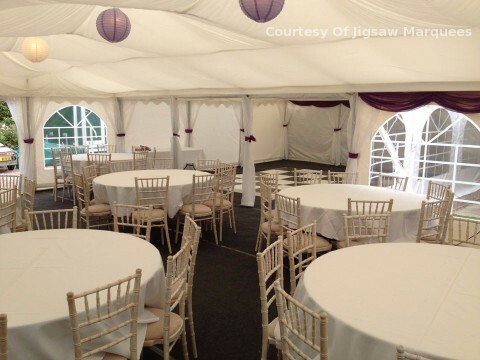 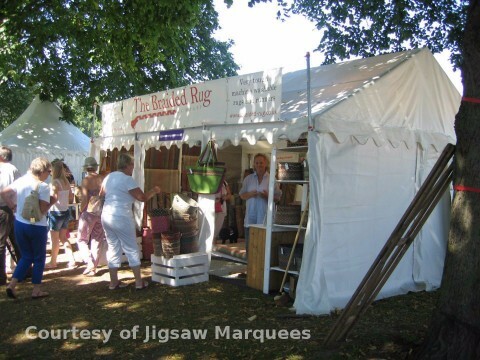 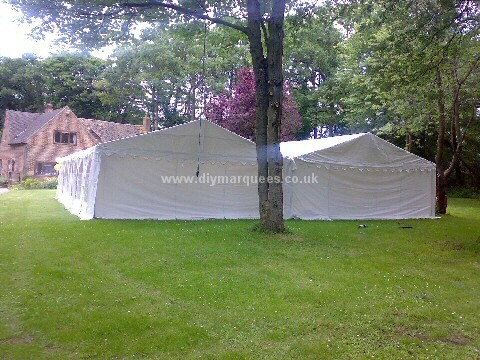 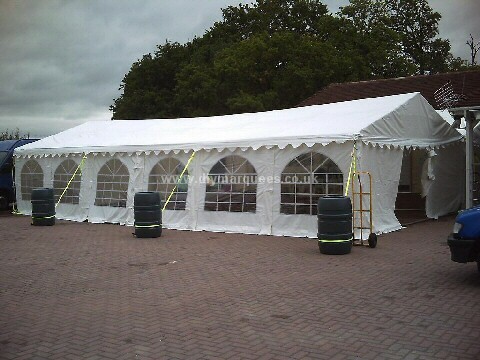 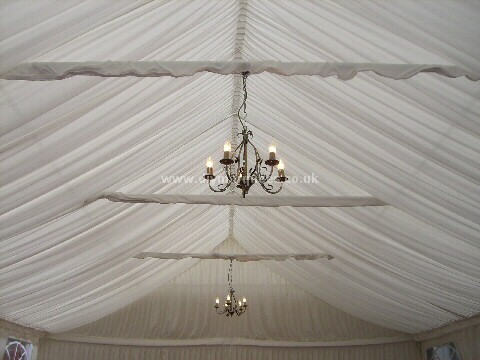 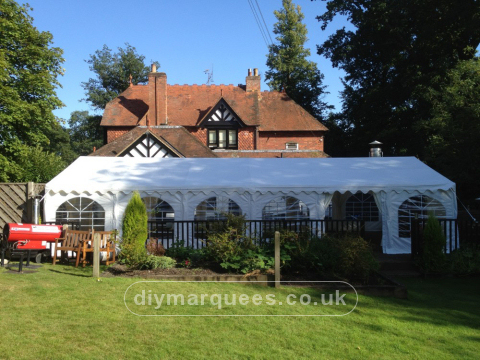 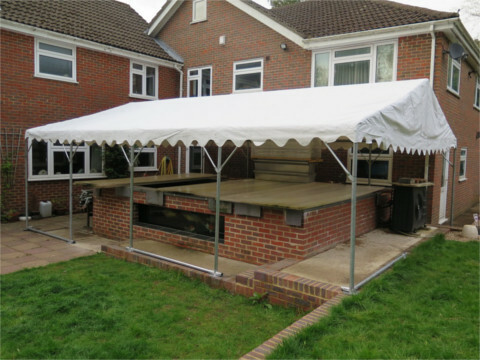 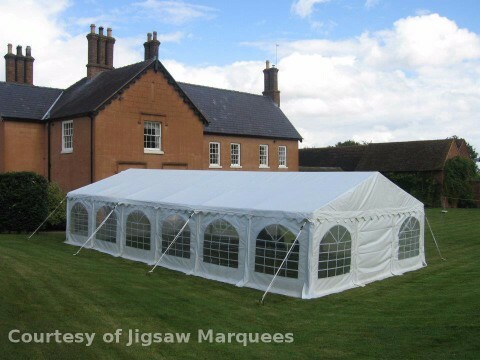 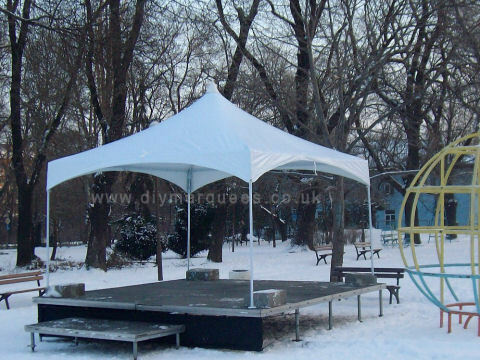 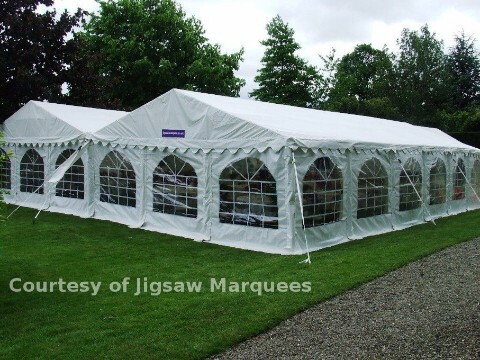 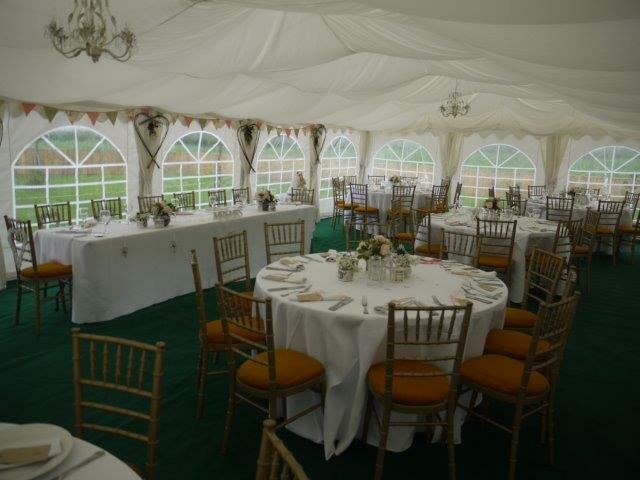 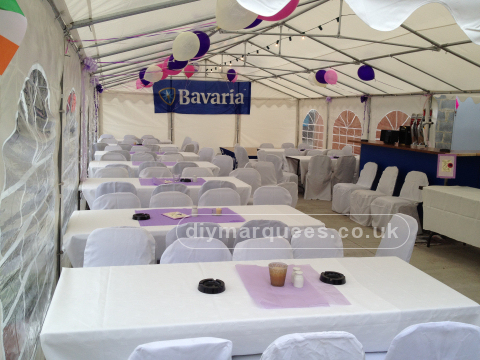 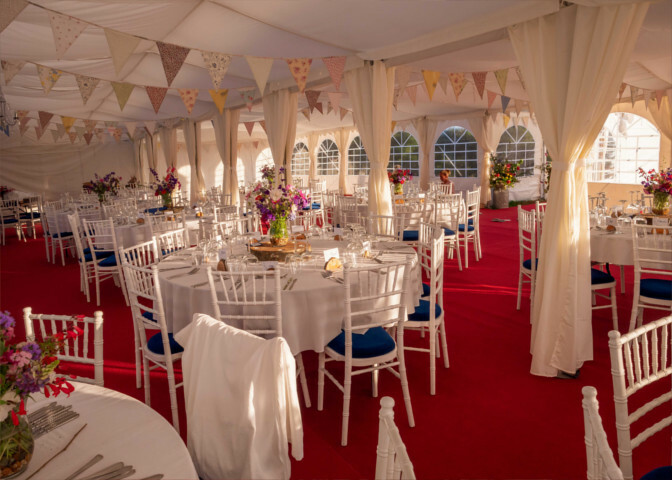 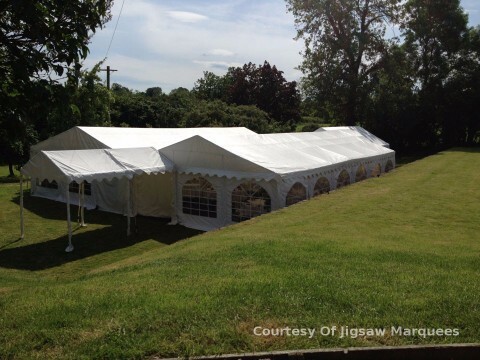 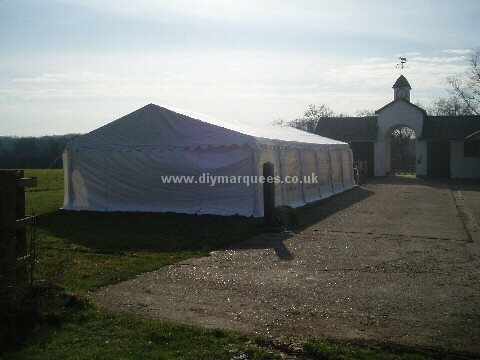 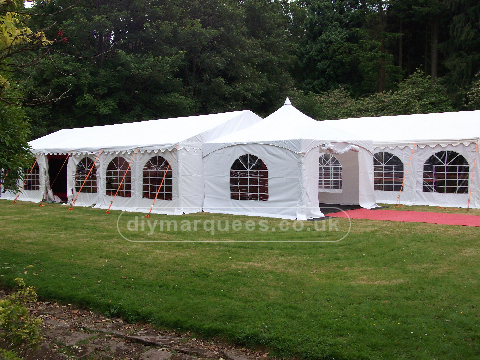 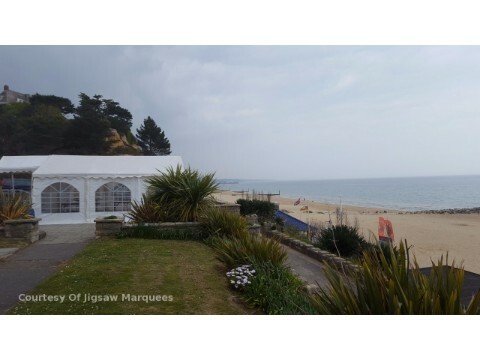 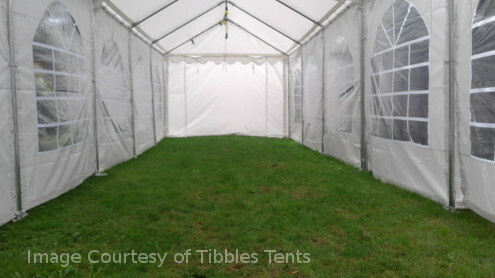 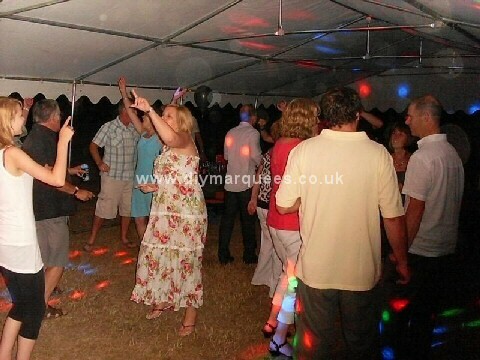 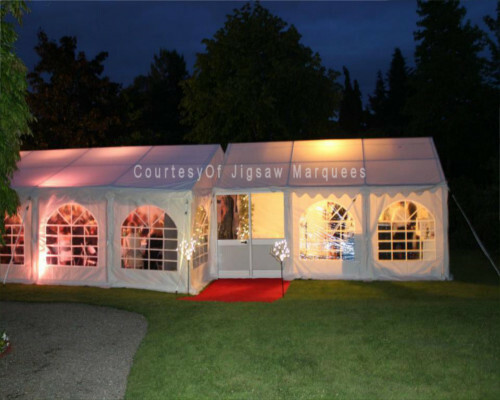 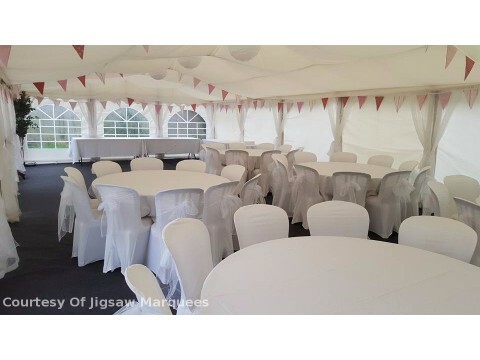 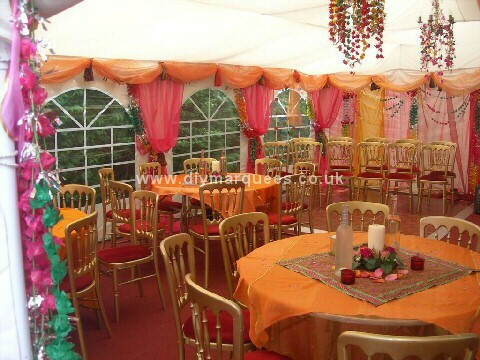 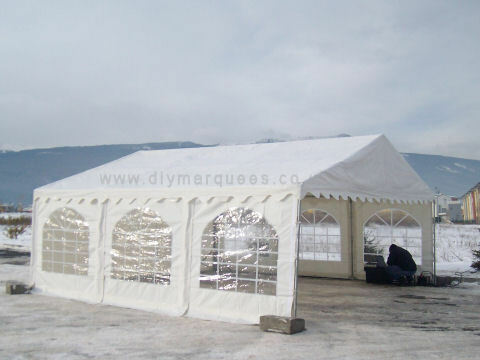 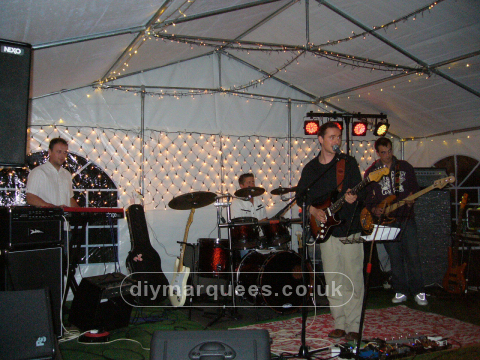 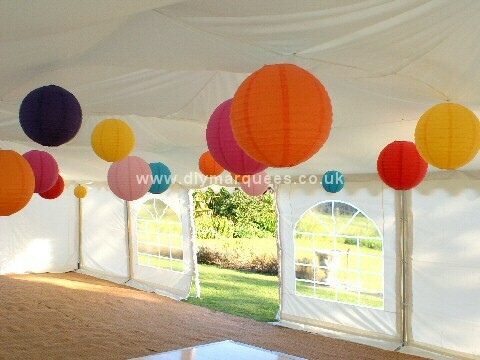 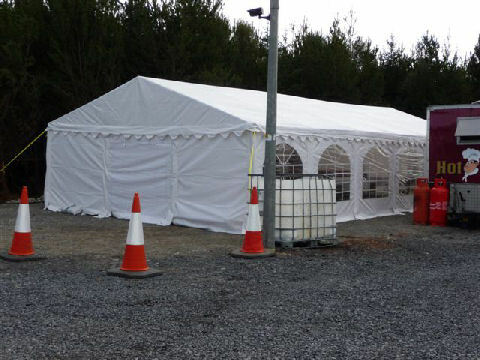 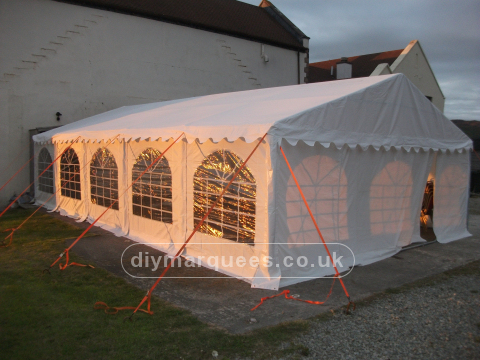 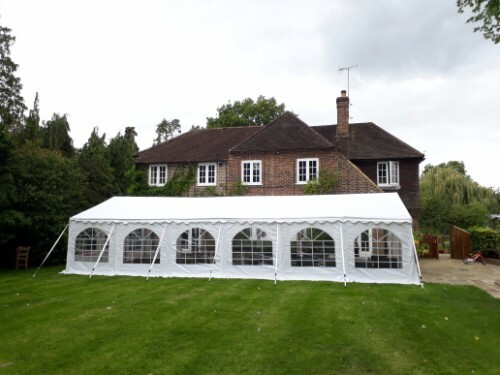 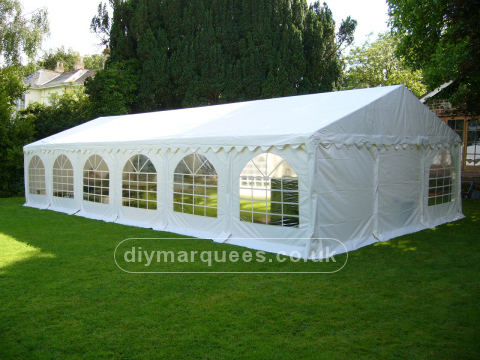 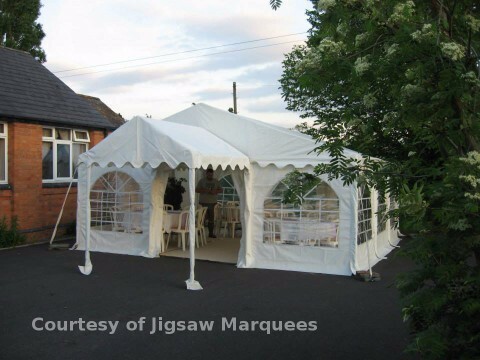 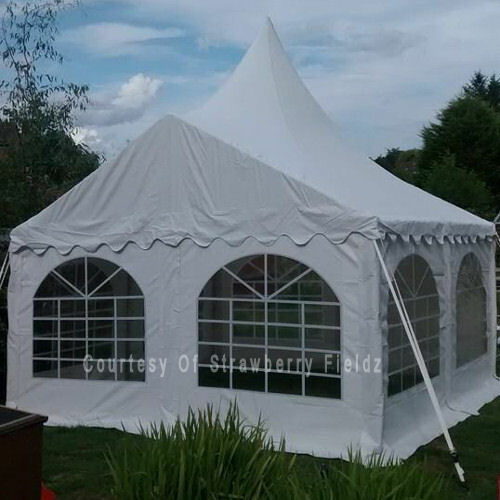 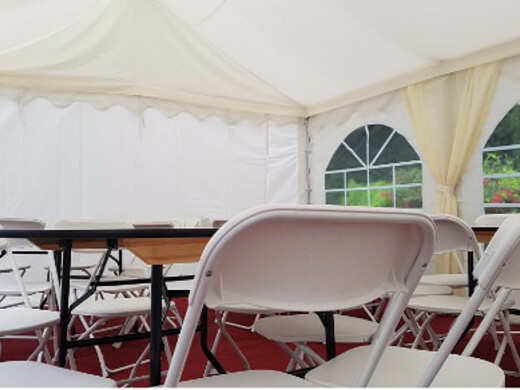 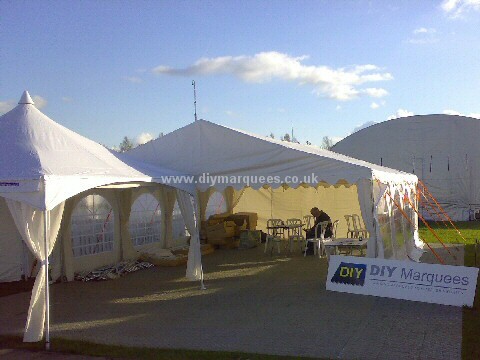 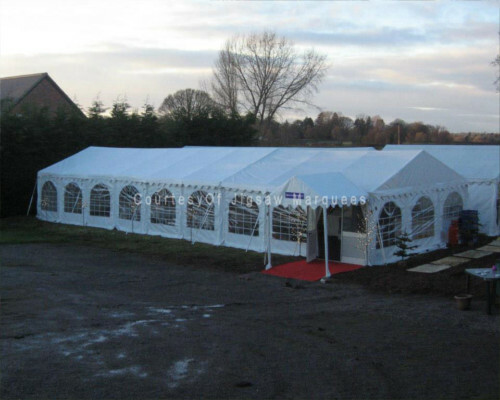 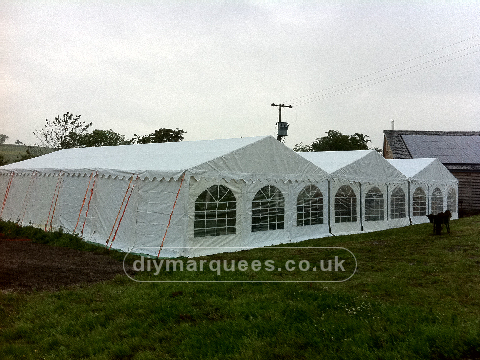 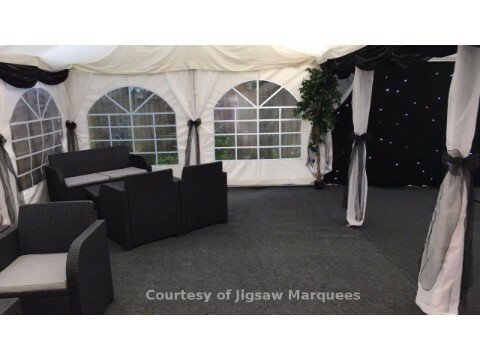 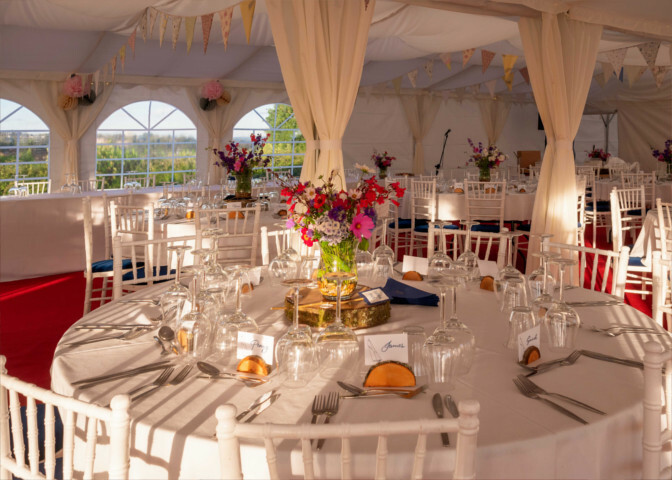 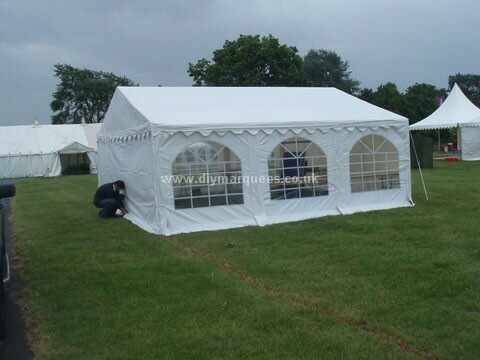 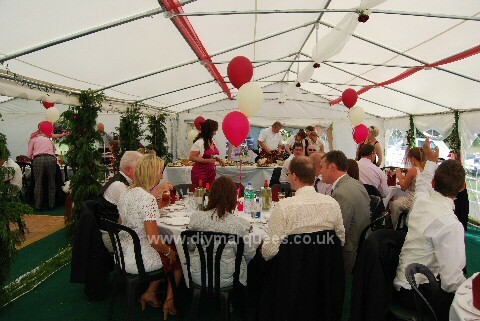 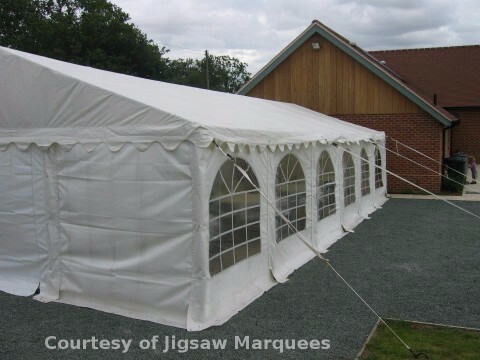 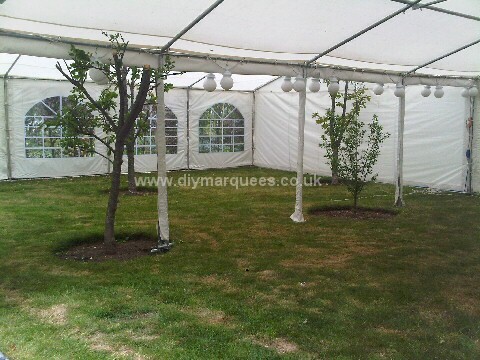 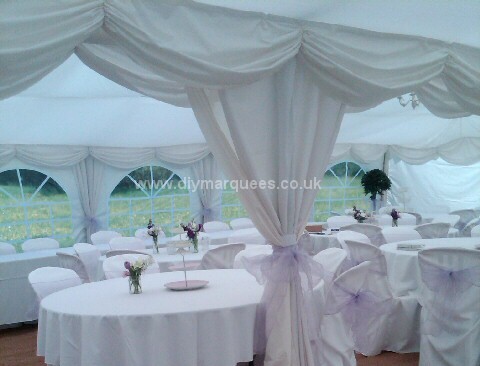 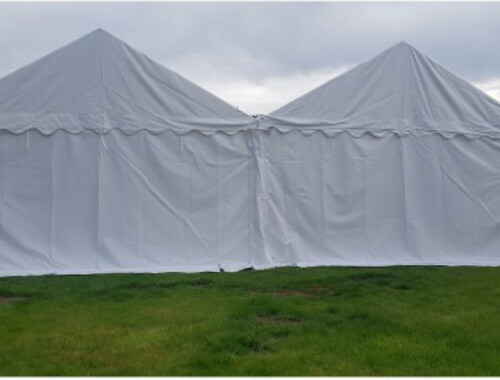 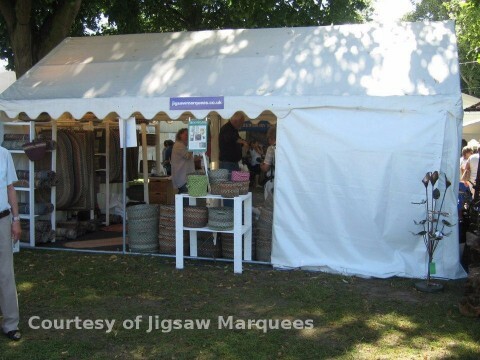 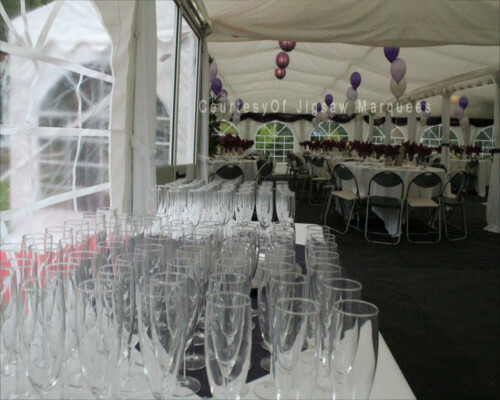 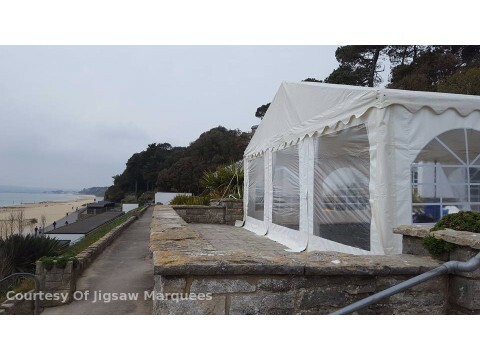 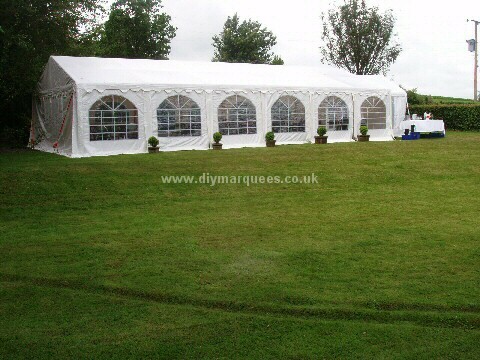 Our DIY Marquees are suitable for a range of uses! 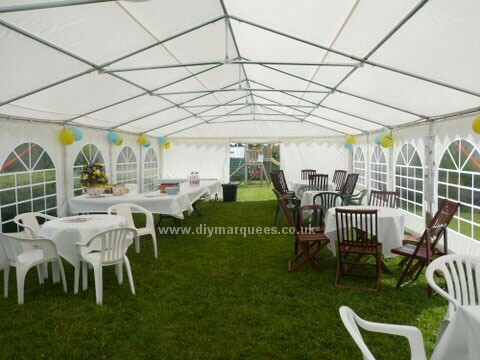 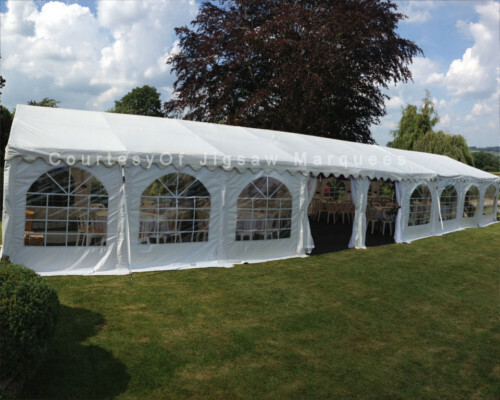 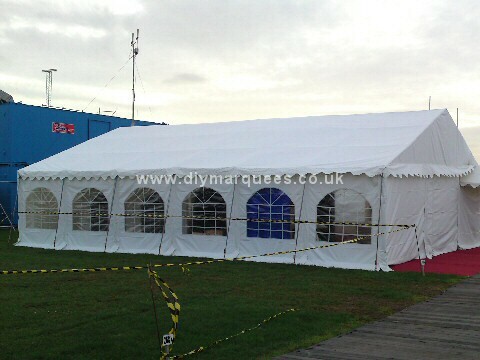 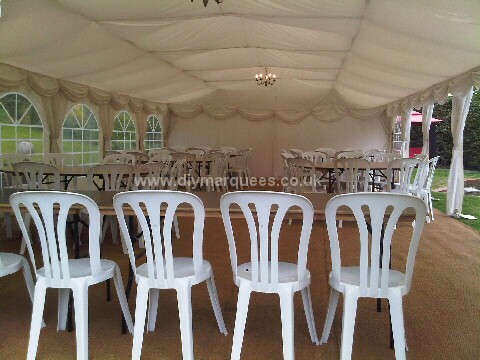 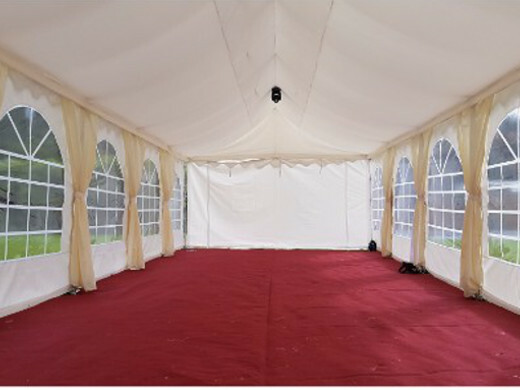 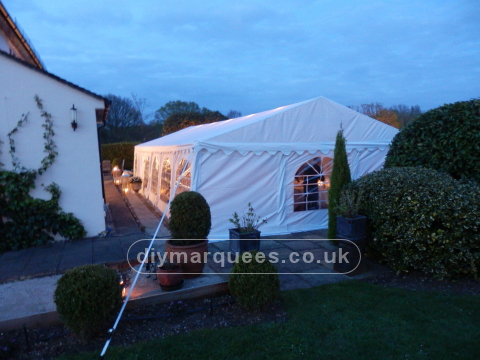 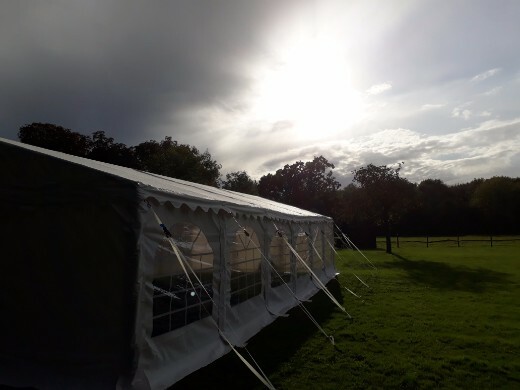 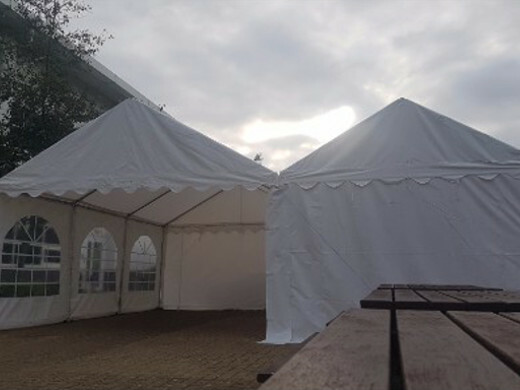 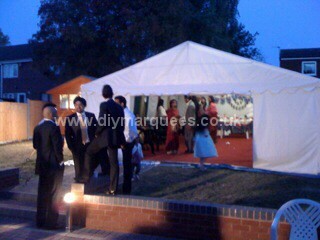 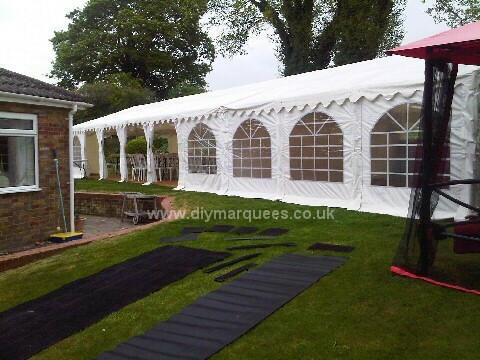 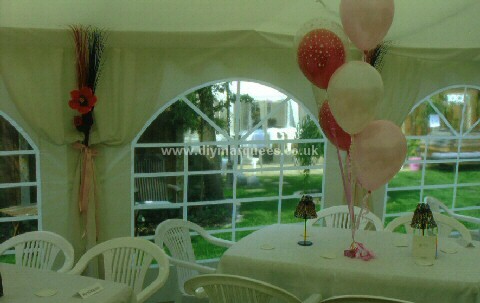 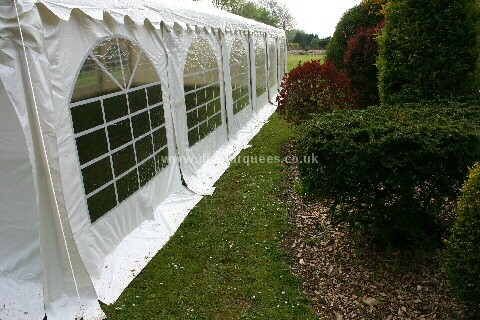 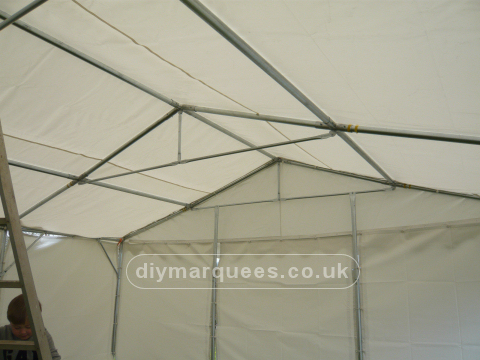 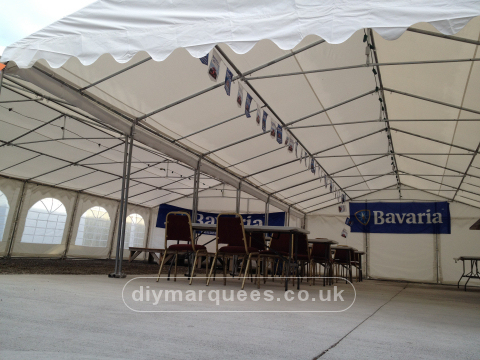 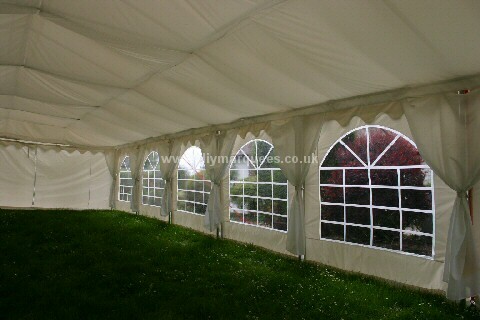 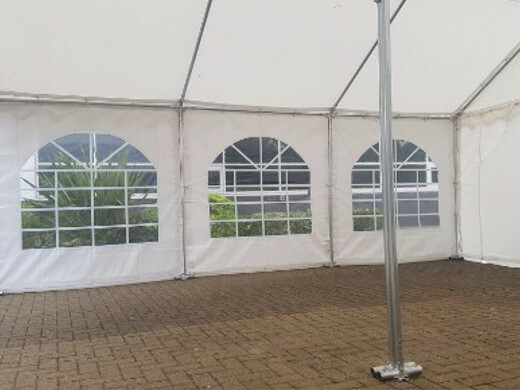 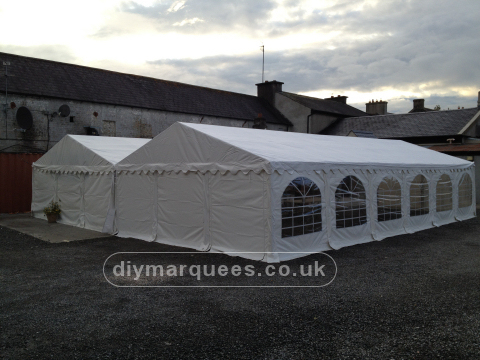 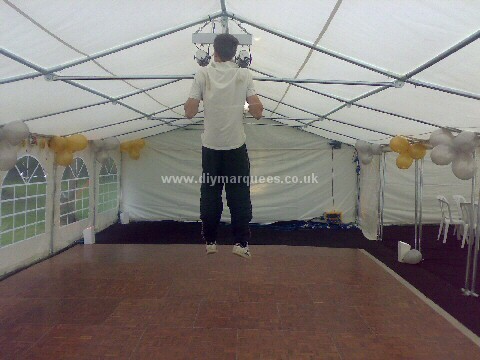 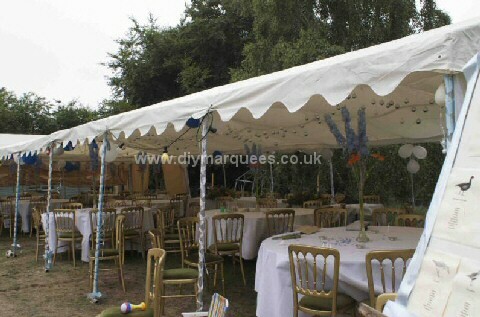 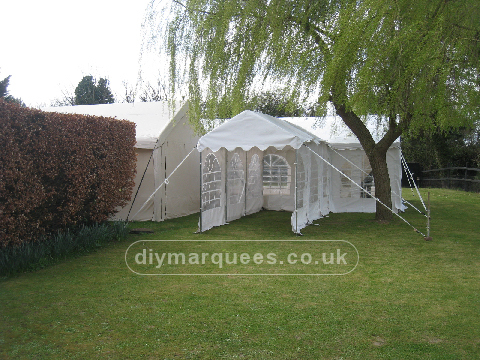 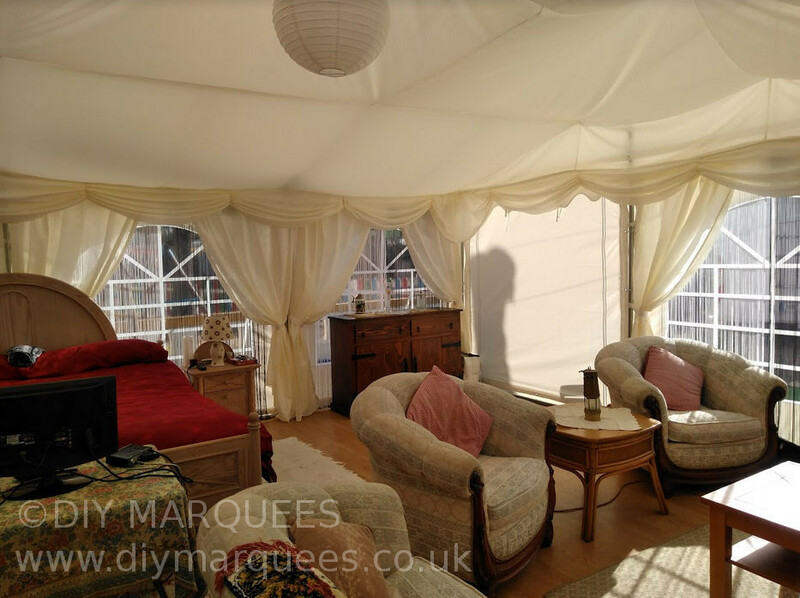 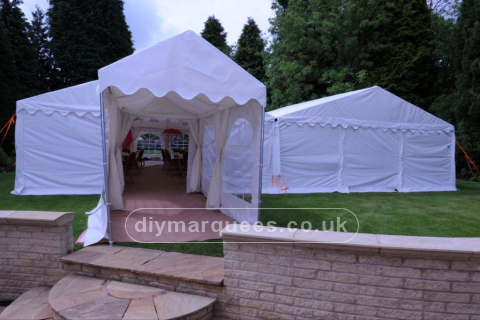 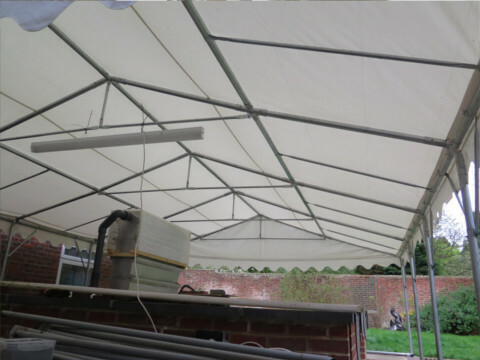 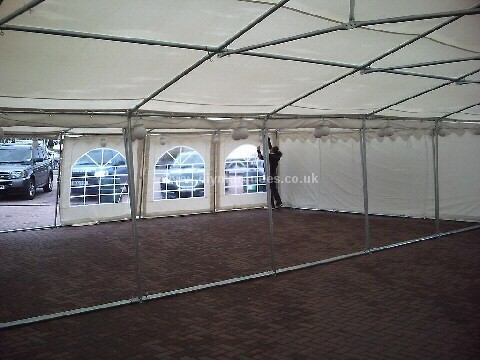 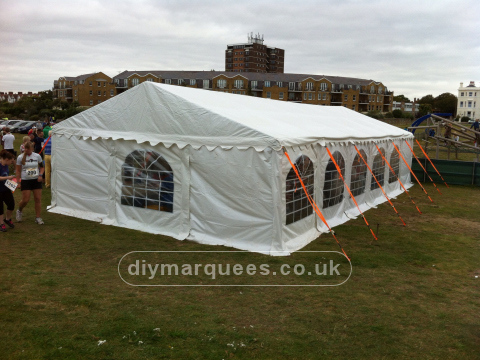 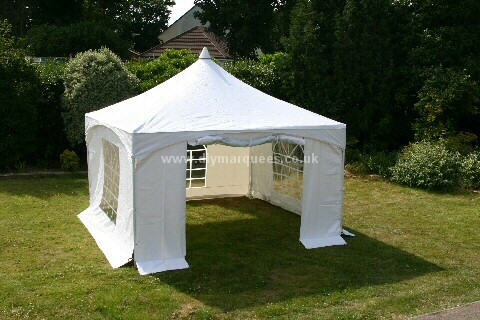 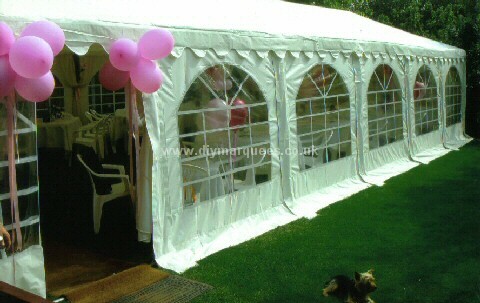 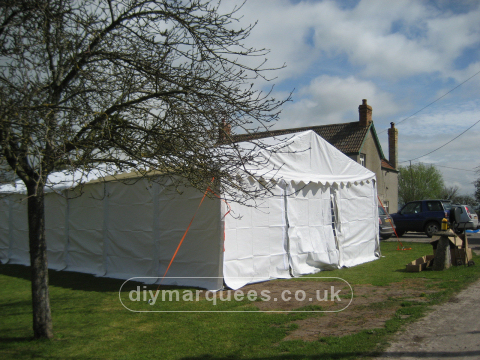 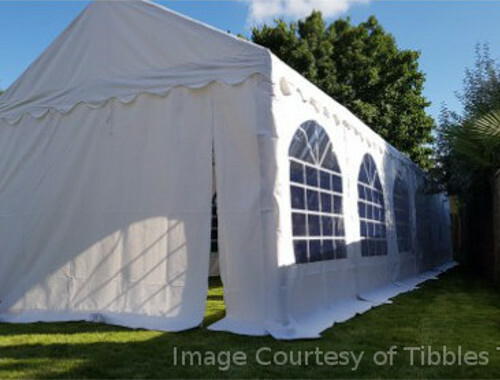 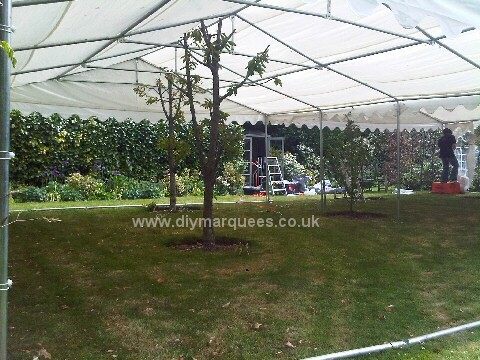 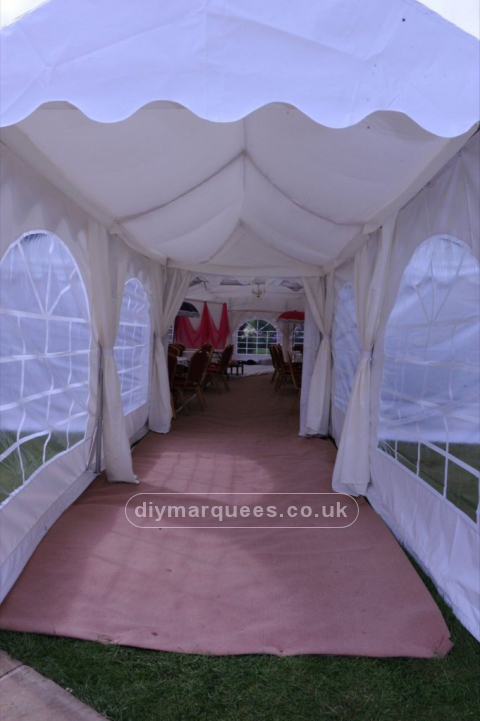 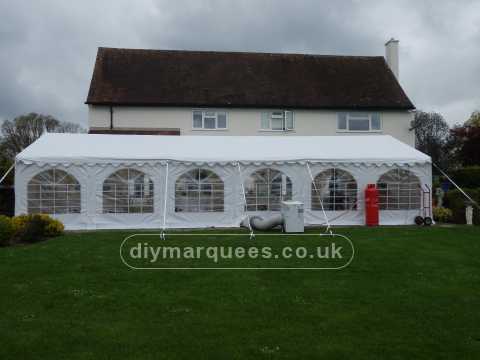 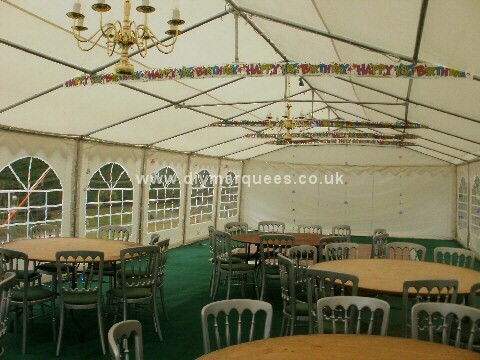 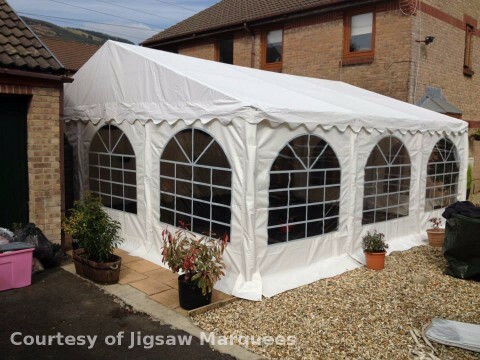 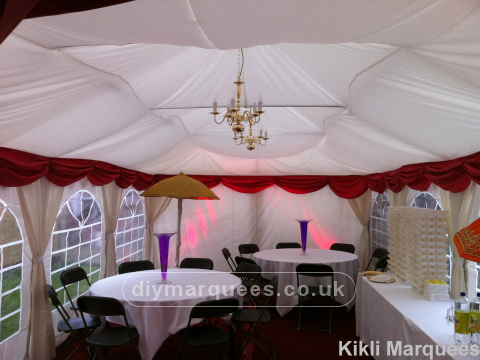 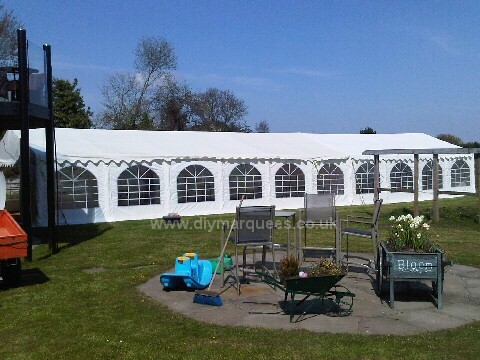 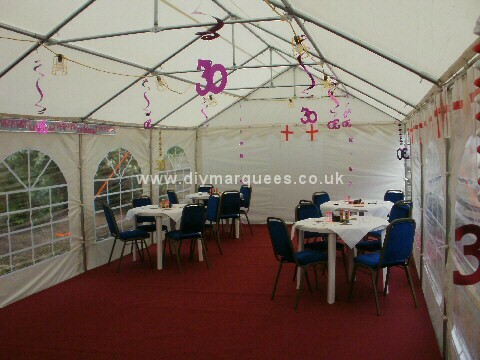 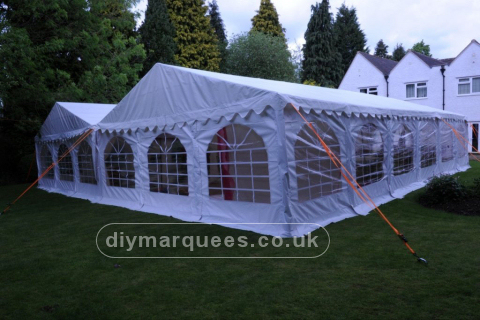 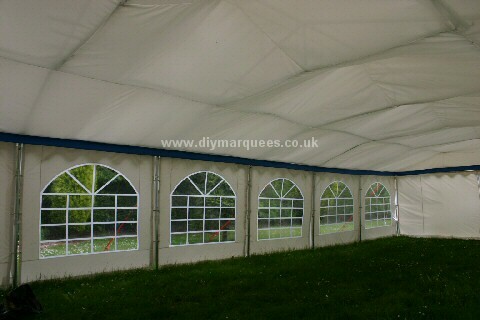 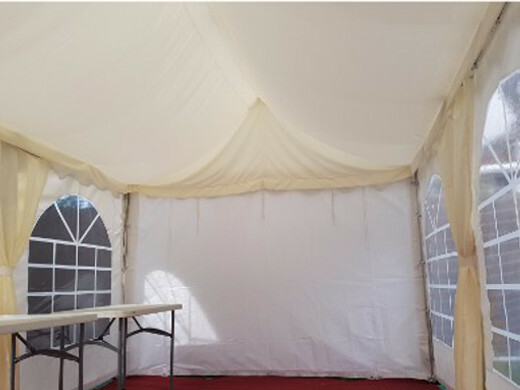 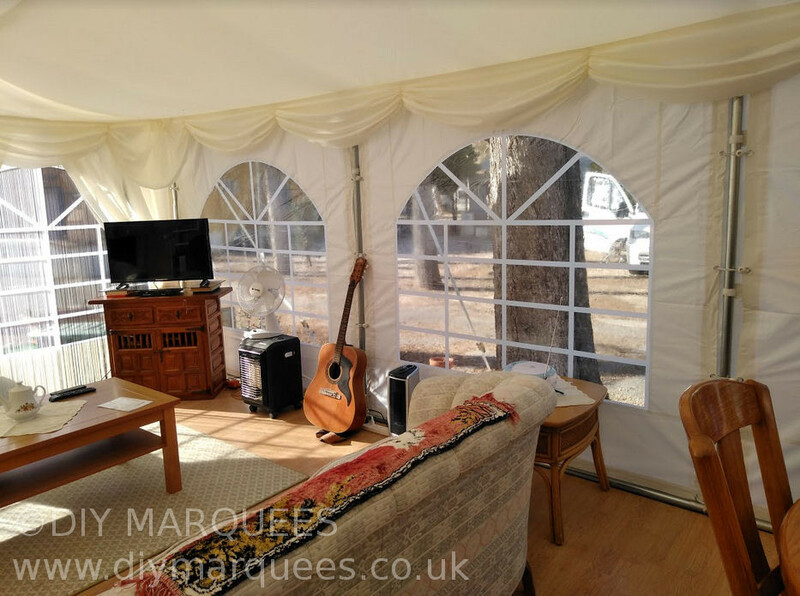 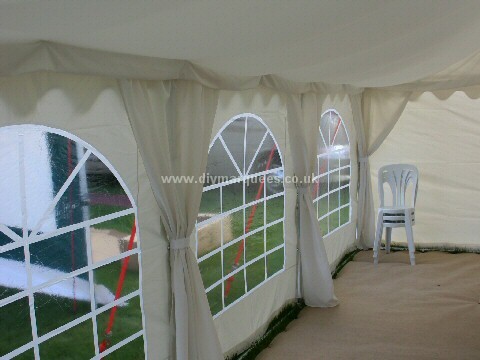 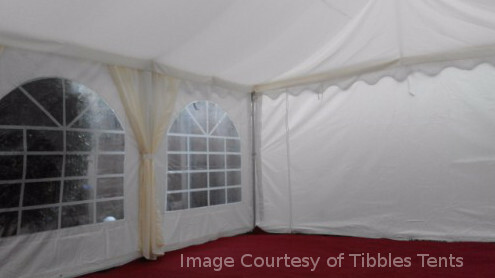 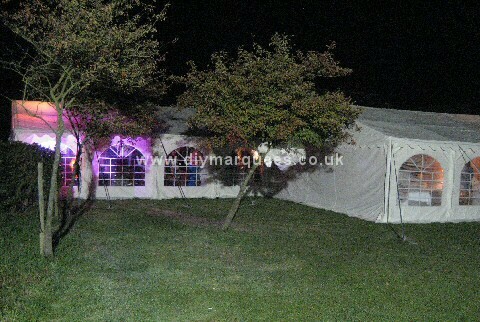 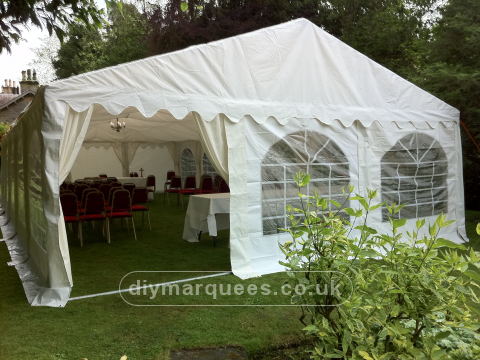 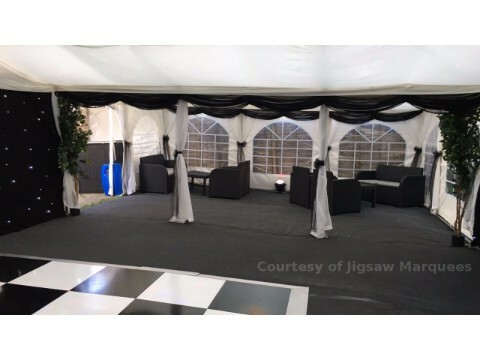 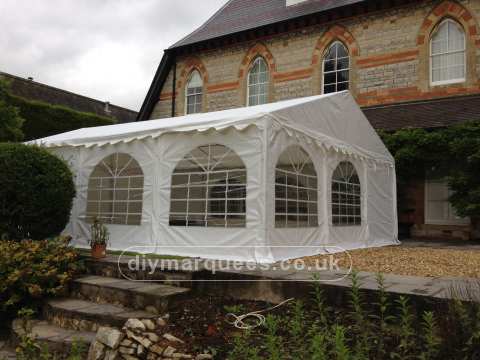 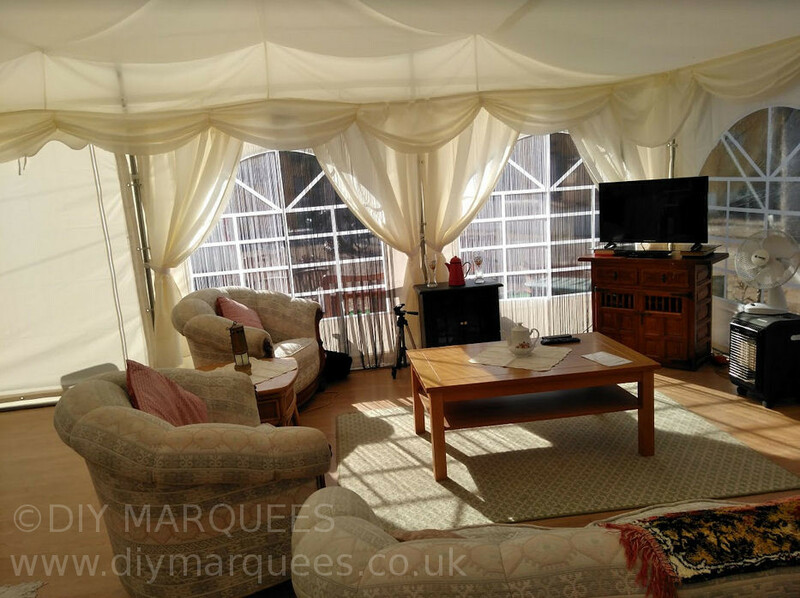 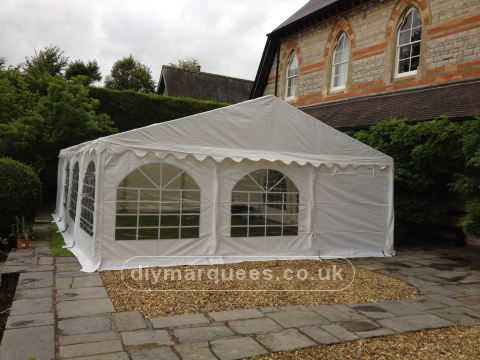 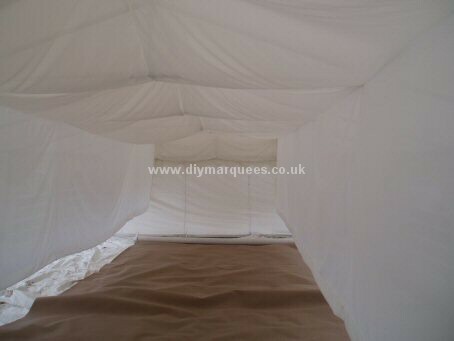 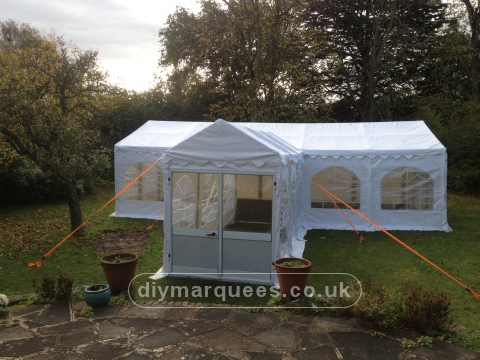 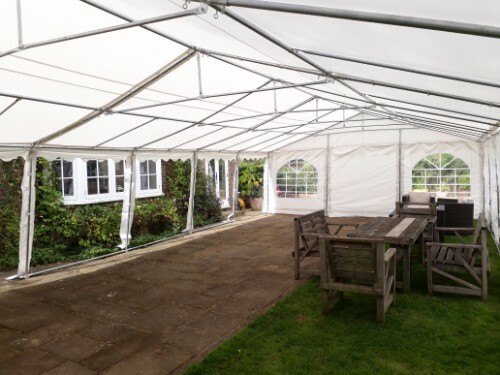 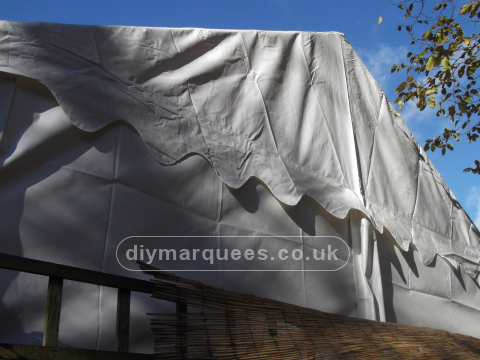 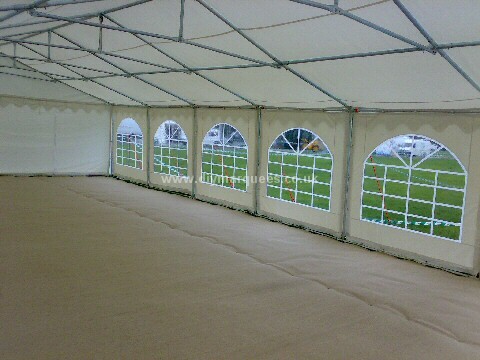 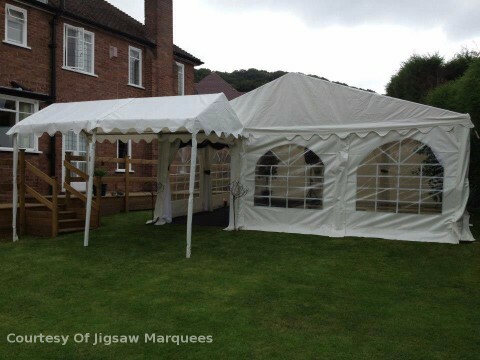 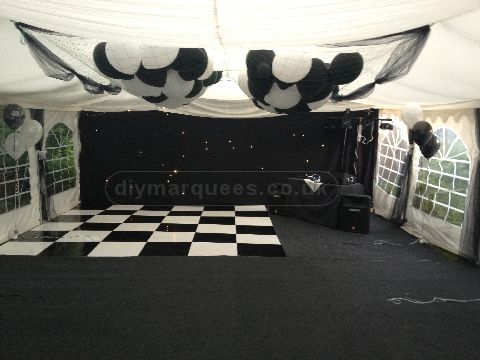 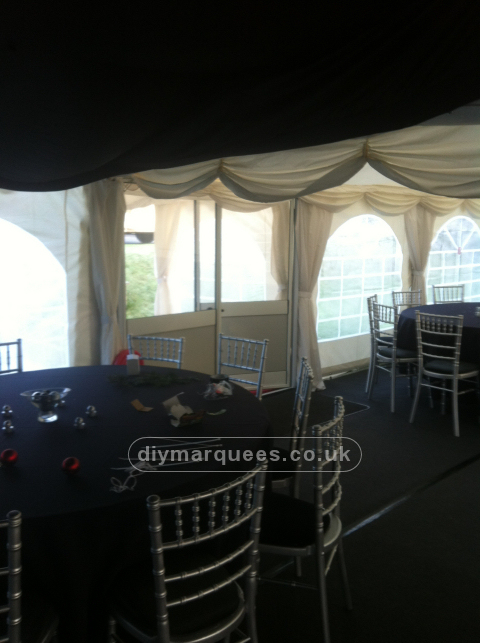 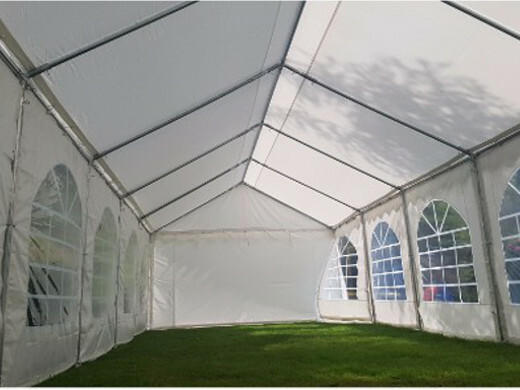 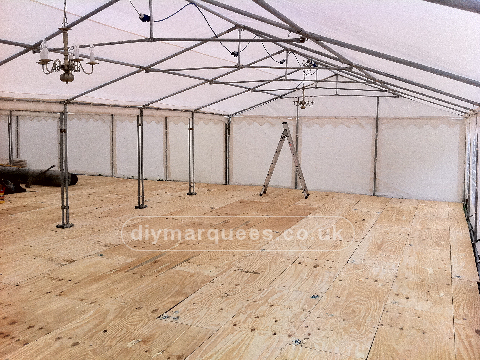 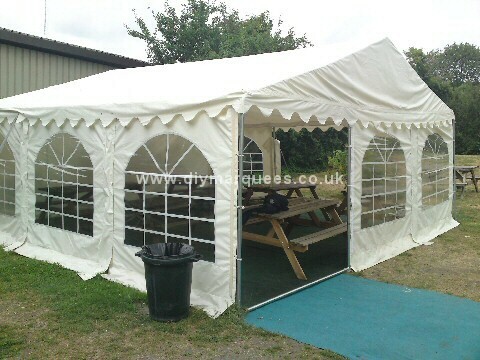 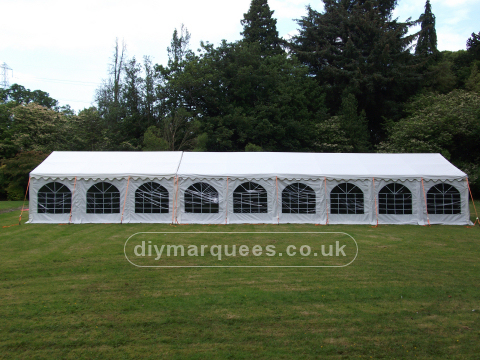 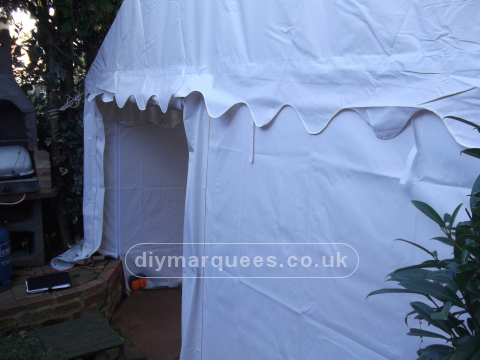 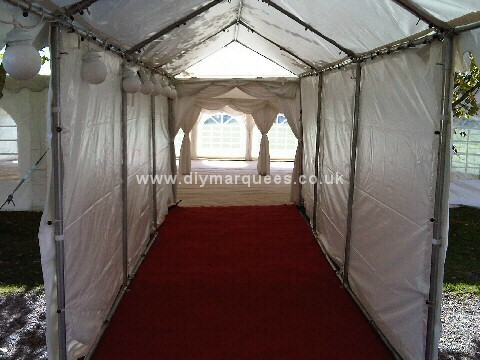 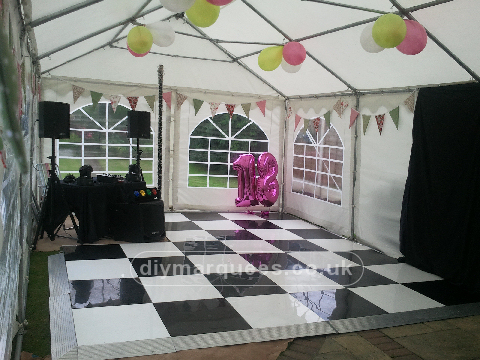 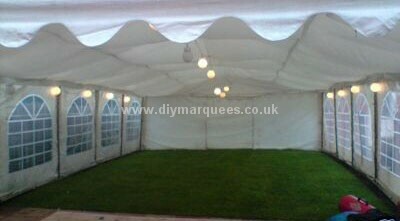 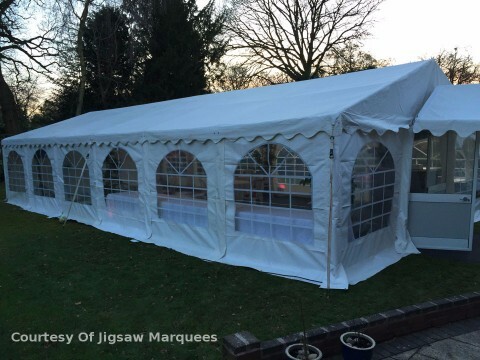 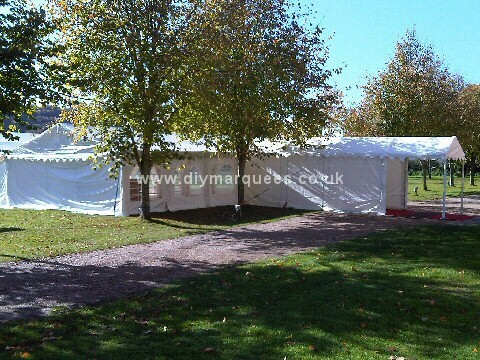 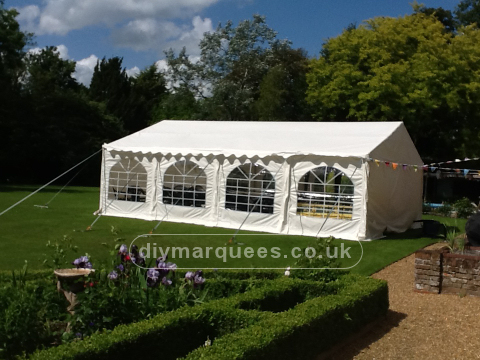 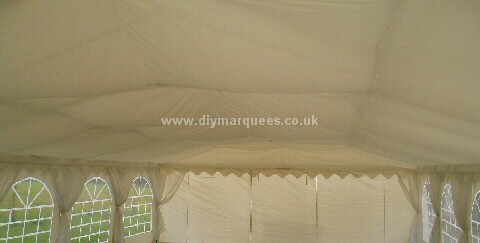 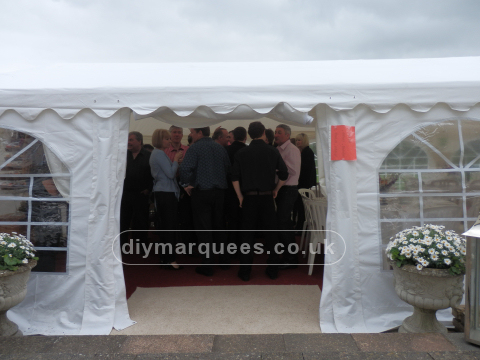 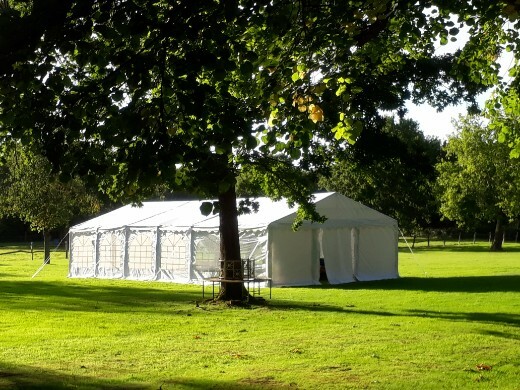 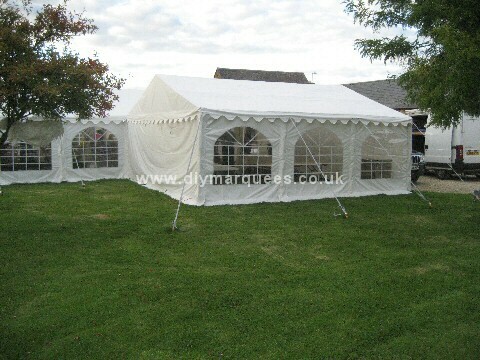 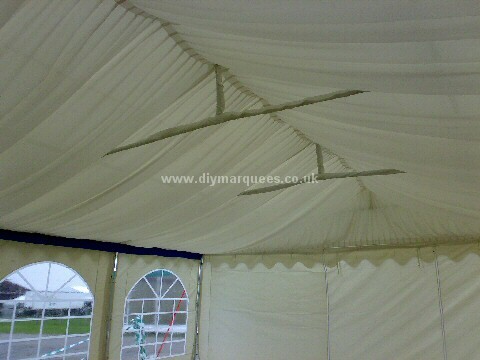 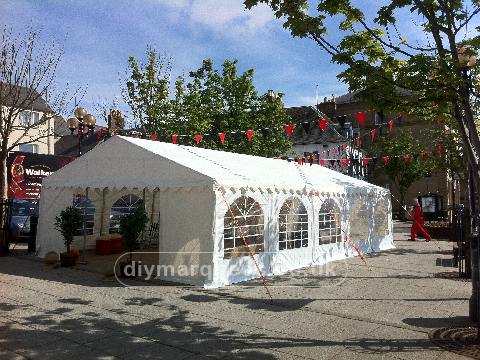 A 6m x 6m DIY Marquee with a small end entrance open. 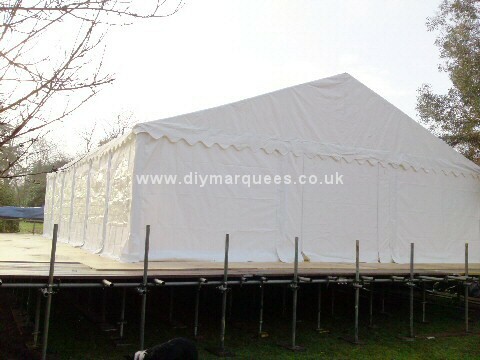 3.6m x 7.2m 'double' Pagoda. 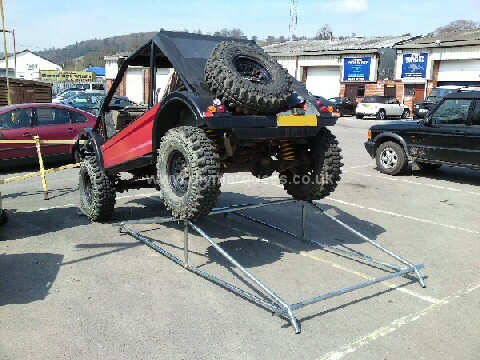 Wondering how strong our framework is? 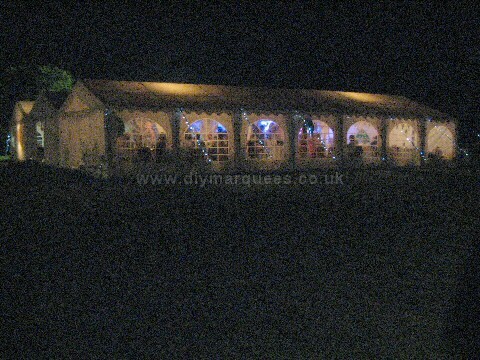 This truck is supported on metalwork from a 6m wide DIY Marquee.